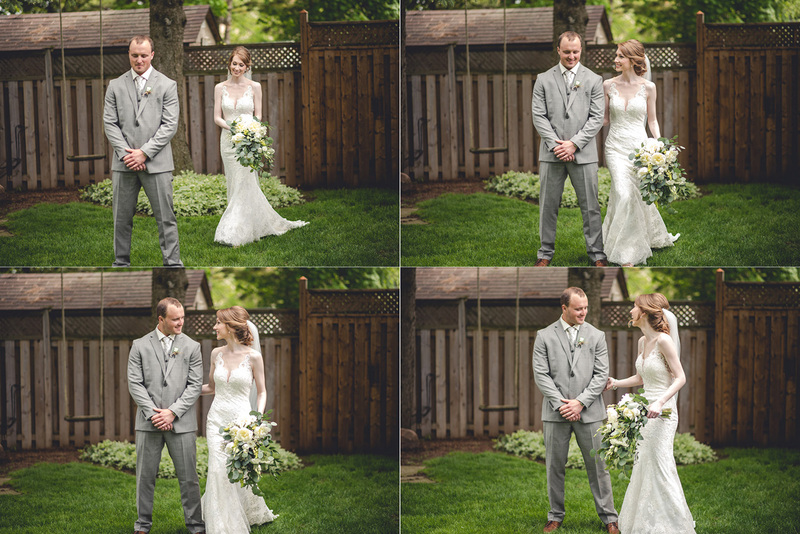 This past May, I had the long-awaited honour of photographing Mikayla and Justin’s beautiful wedding in Guelph, Ontario. 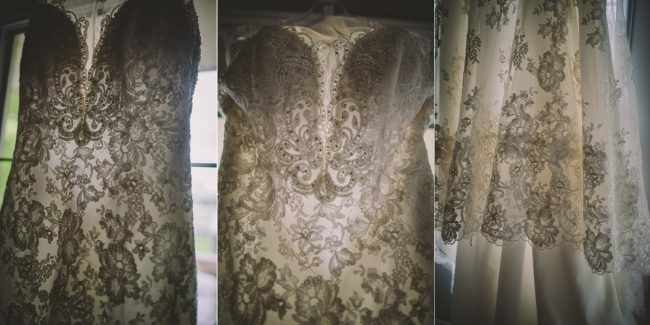 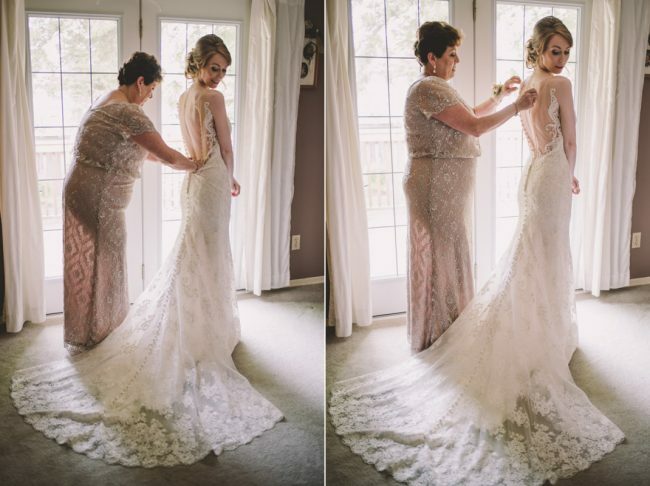 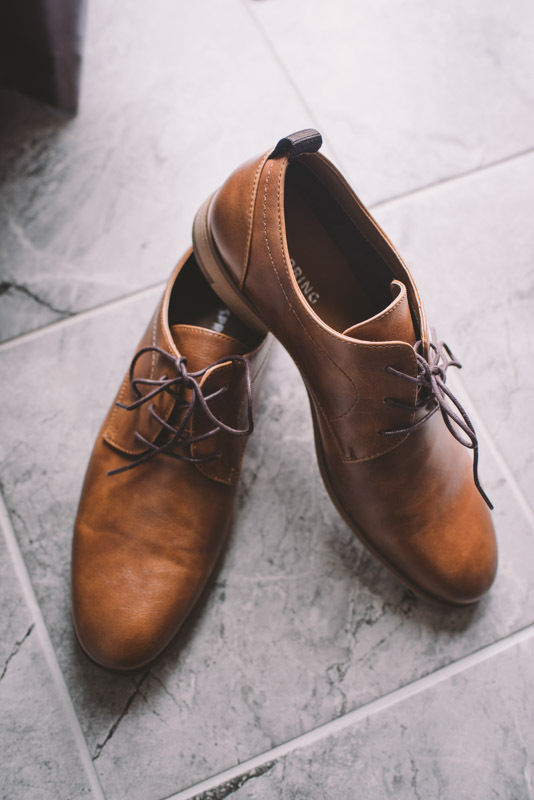 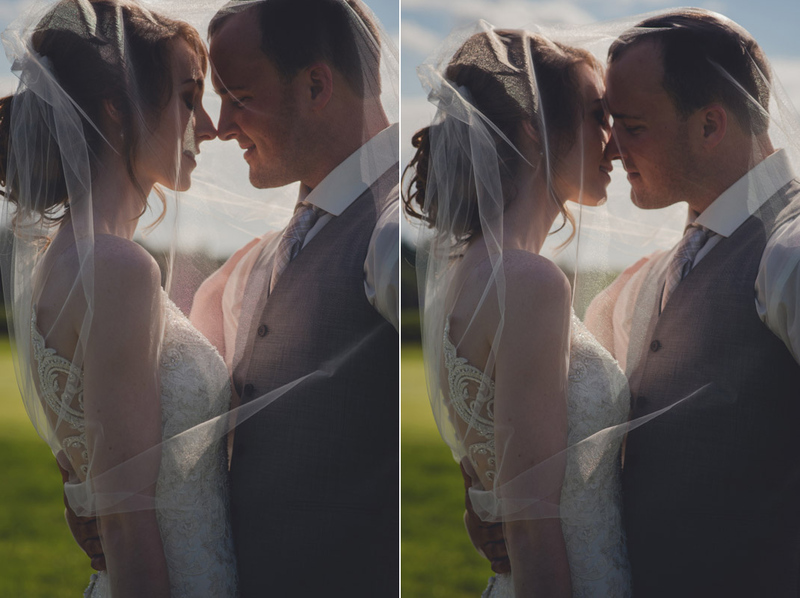 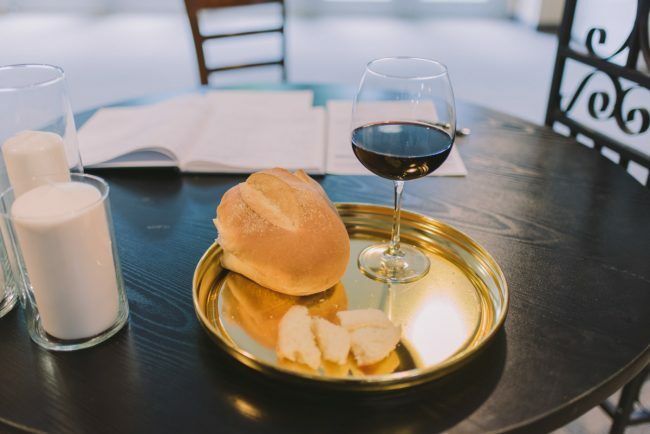 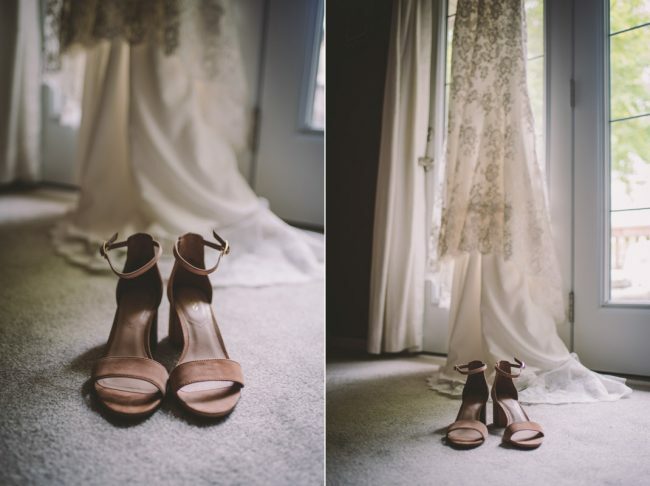 I am in LOVE with these images! 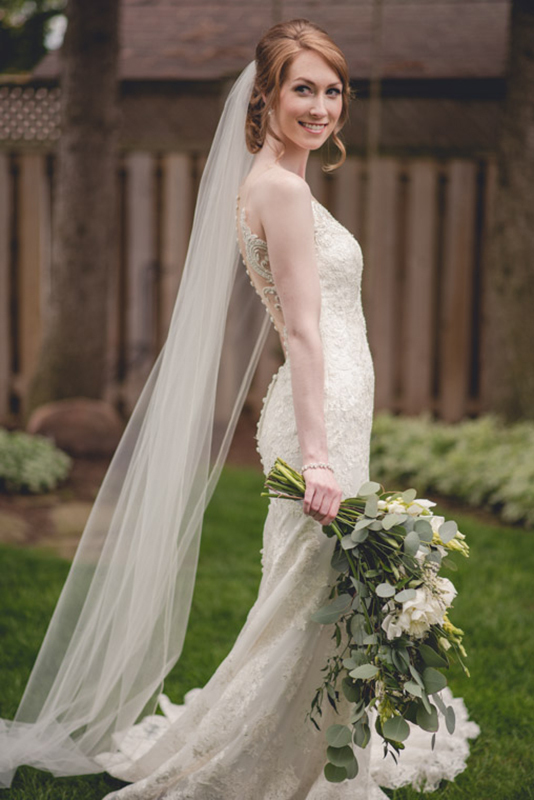 Mikayla and I originally met quite a few years ago through our mutual work with Gemini Models, in Kitchener, where she is signed as a model, and I often work as a photographer. 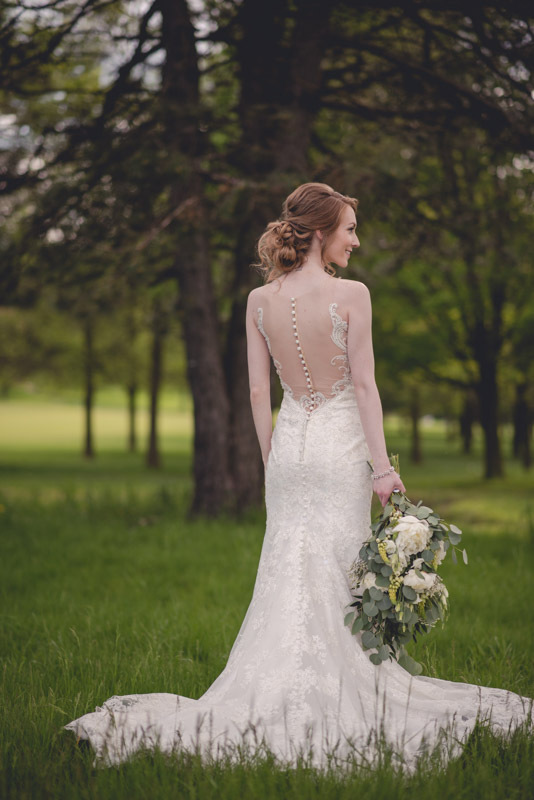 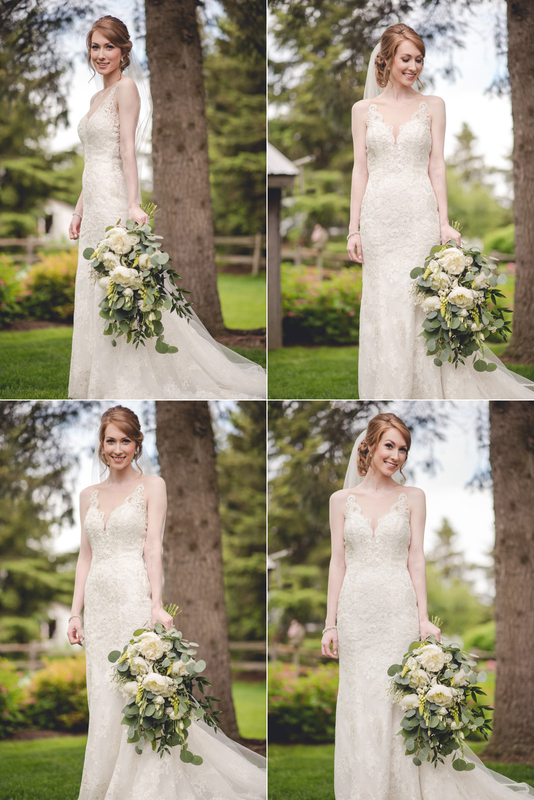 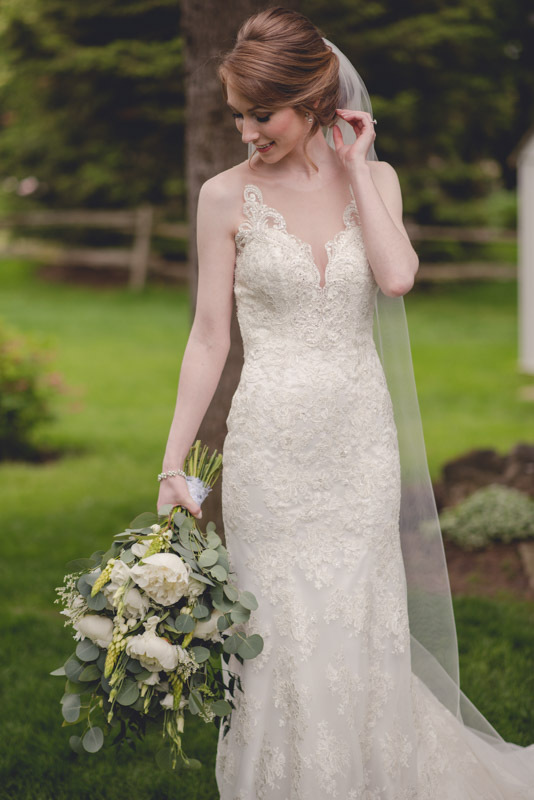 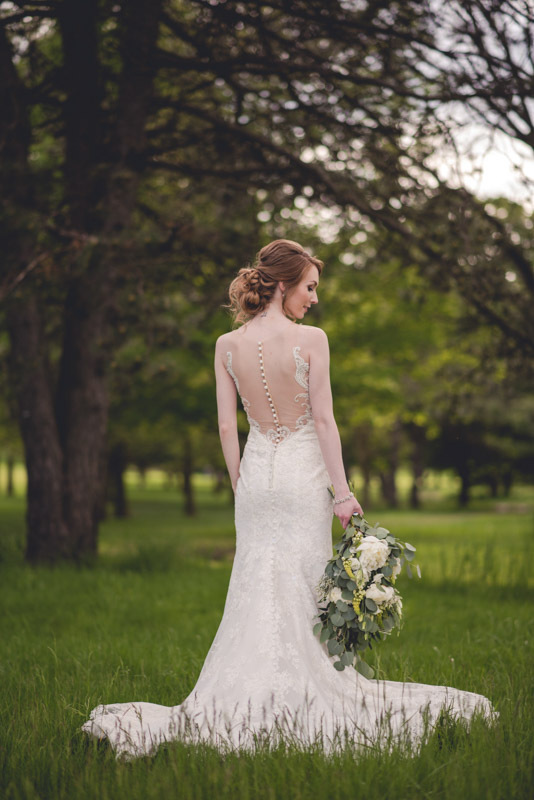 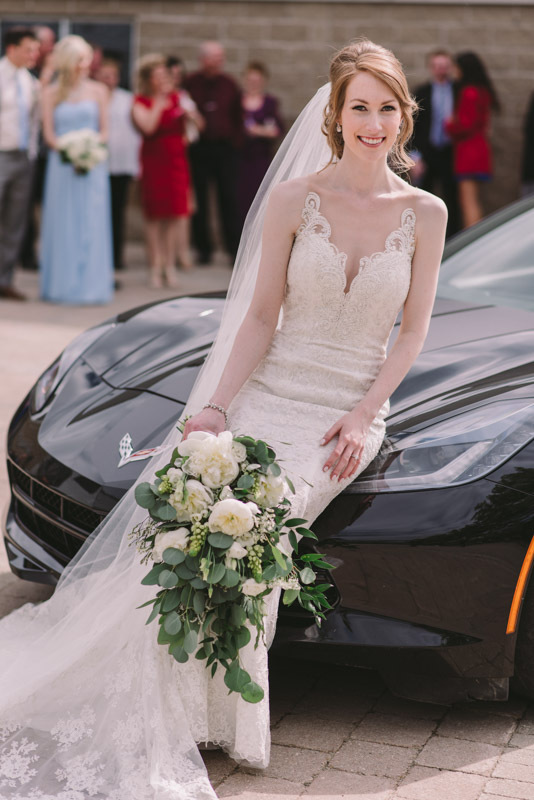 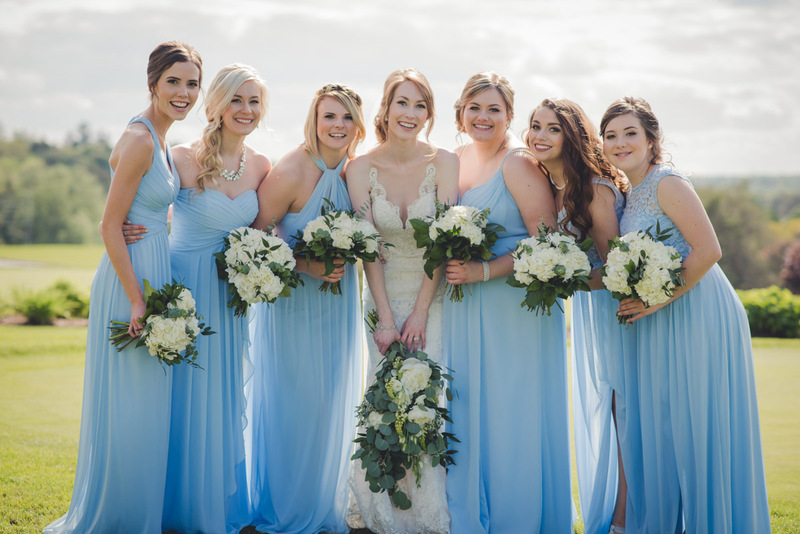 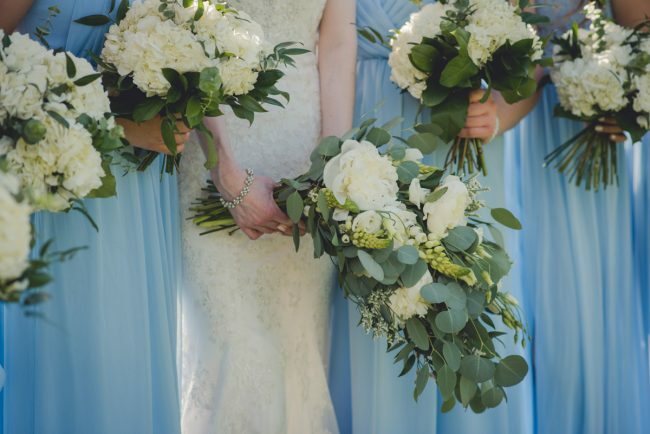 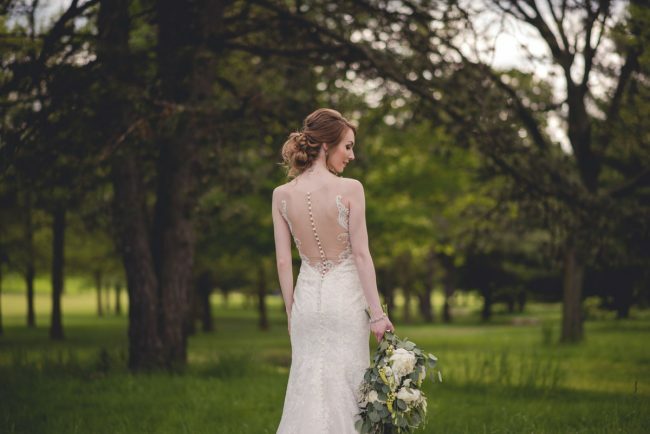 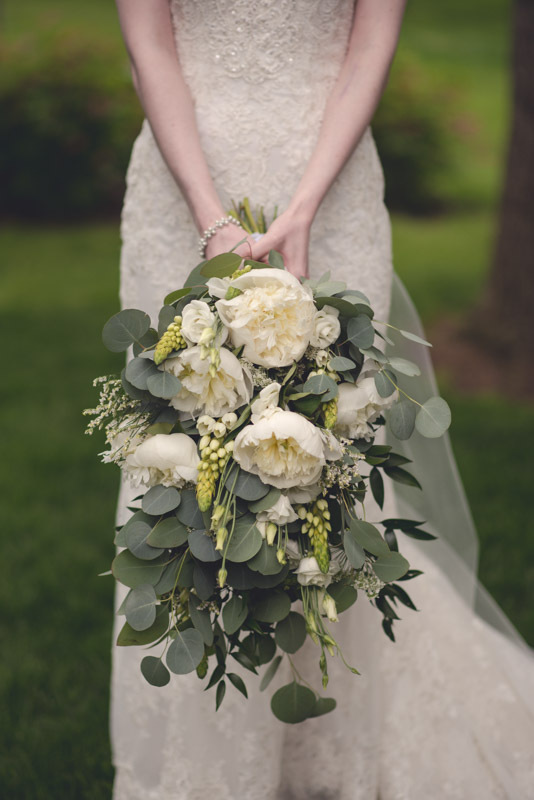 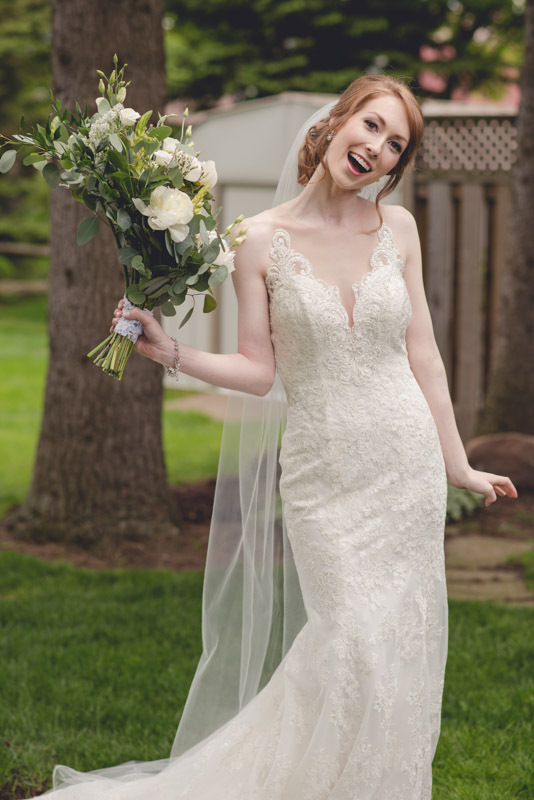 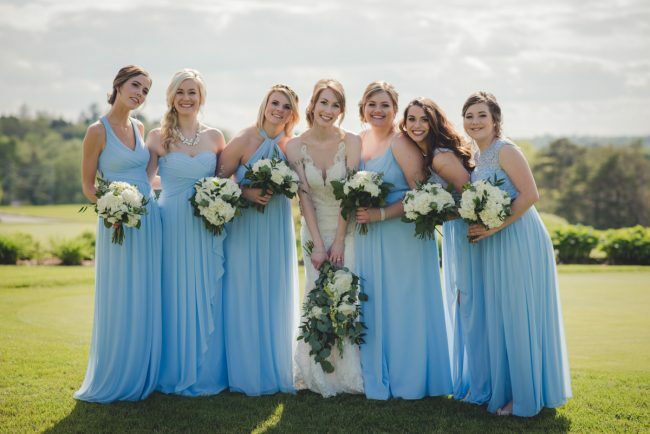 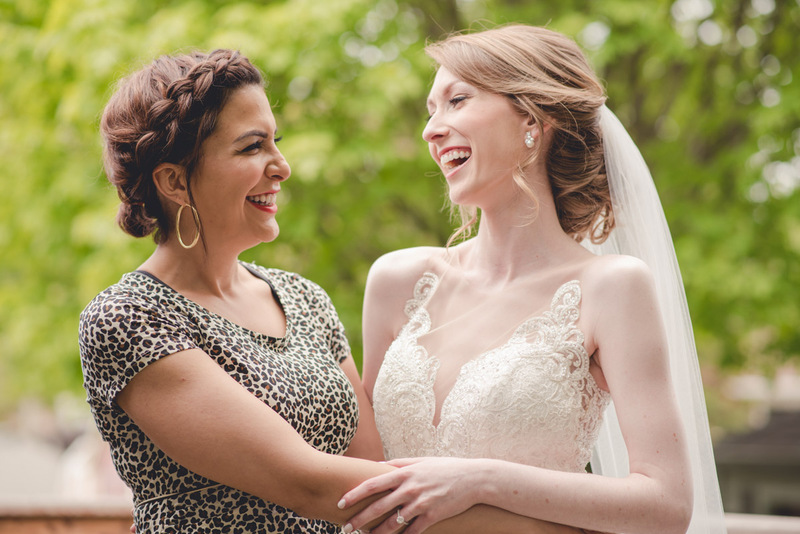 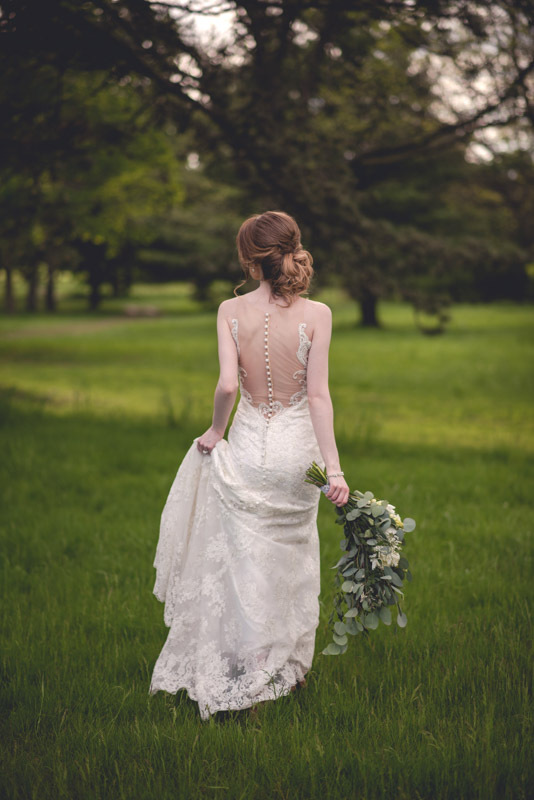 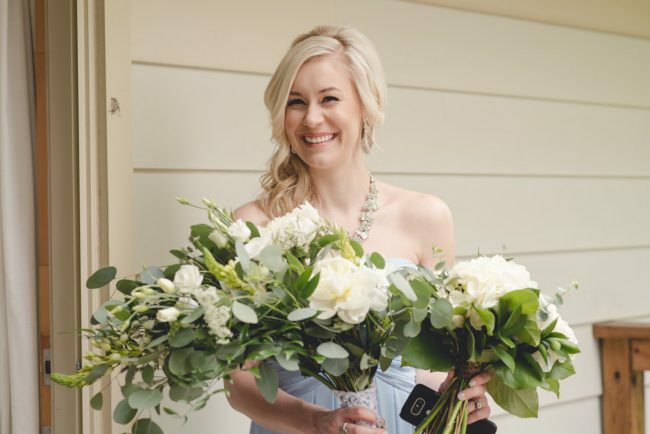 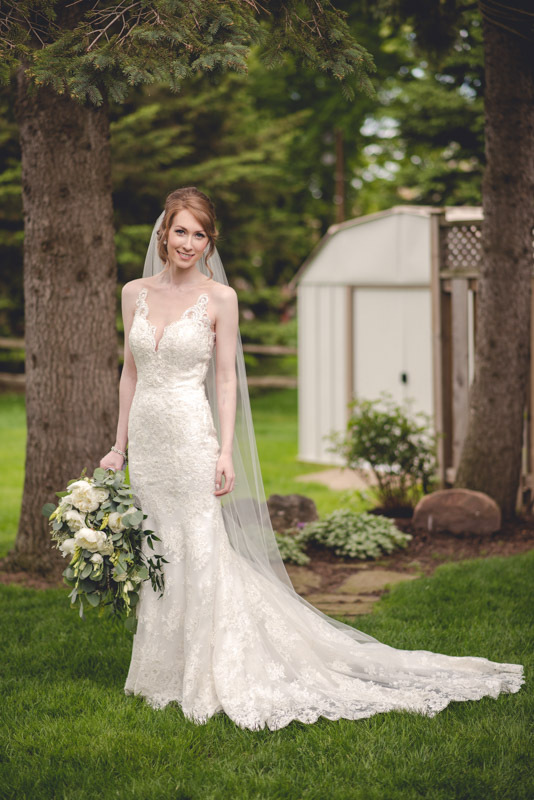 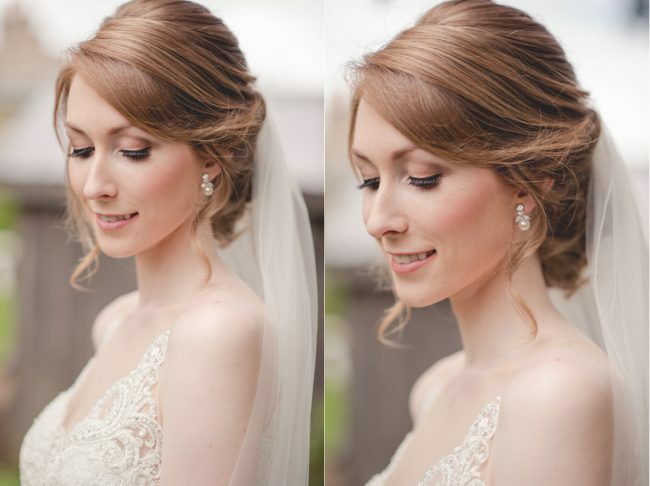 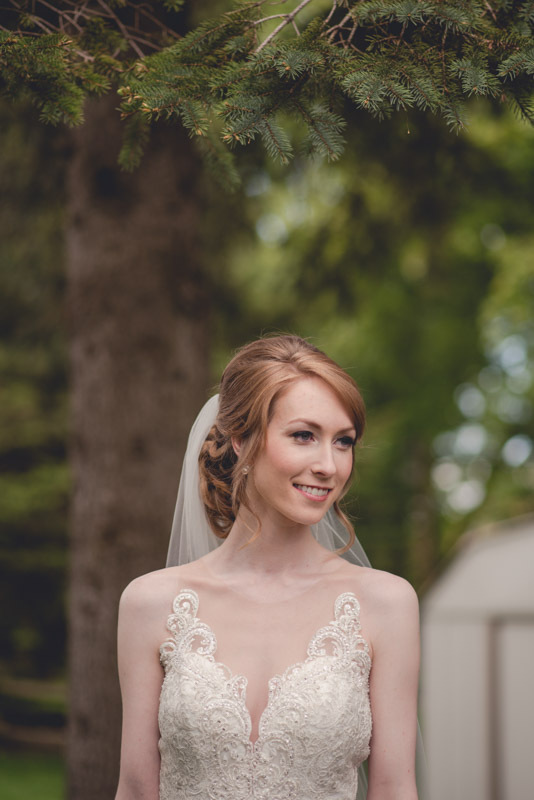 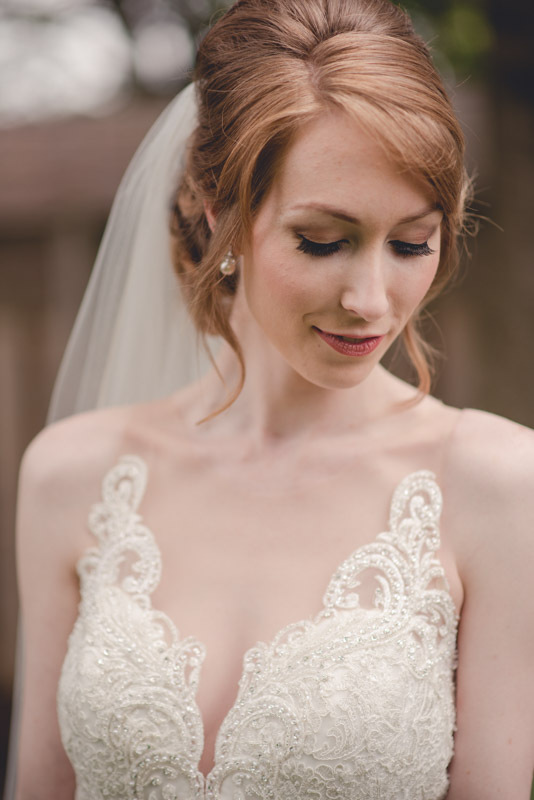 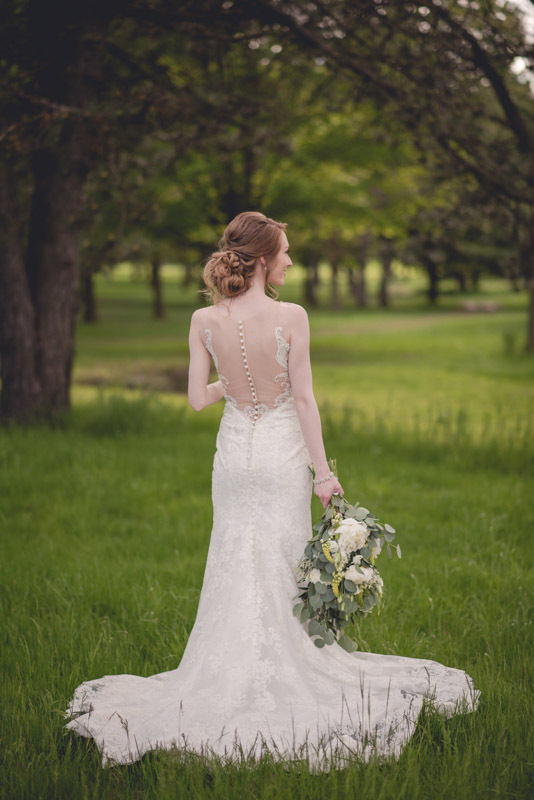 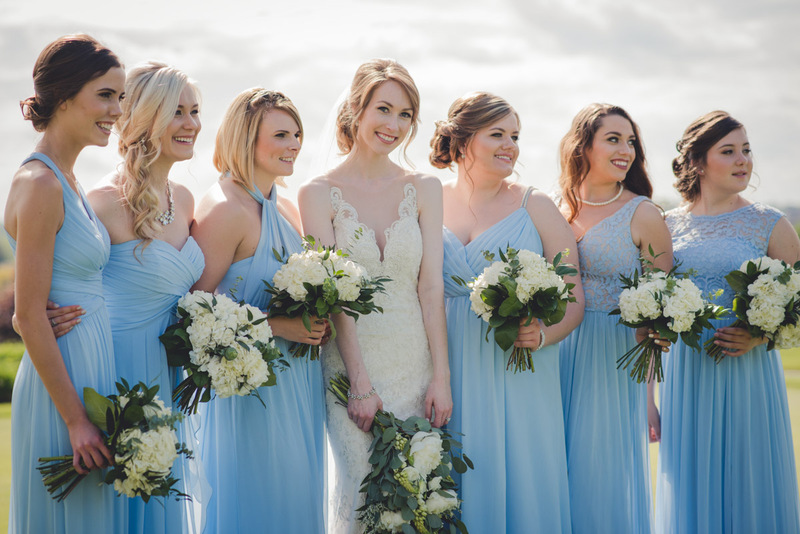 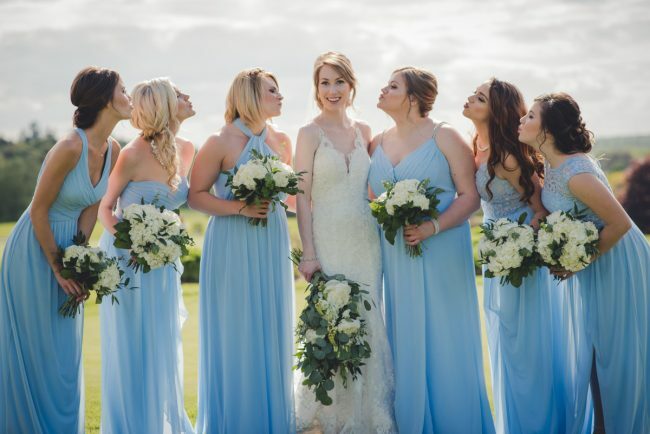 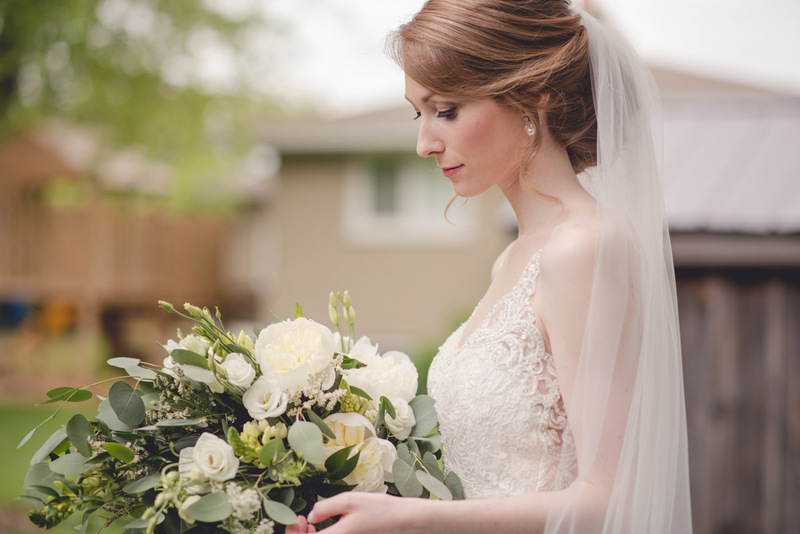 Last summer, when I was in search for three models for a bridal creative I was arranging with make up artist and hair stylist Gabriela Soares, and florist Cayla Dittenhoffer of Just Blooms, Mikayla was one of the models that we chose to work with! 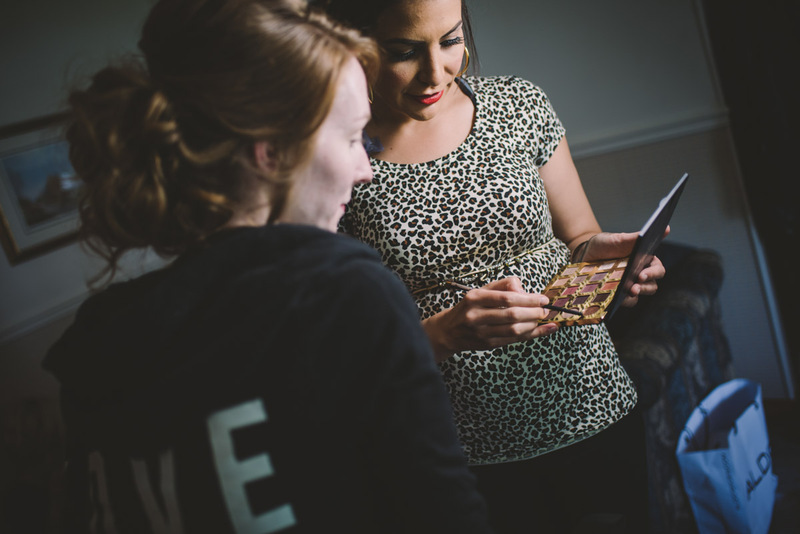 The photoshoot was a huge success, and at the end of the day, Mikayla pulled me aside and asked me to mark a day in my calendar – May 27, 2017 – because she expected that she would be engaged soon, and wanted to make sure she could book me as the photographer. 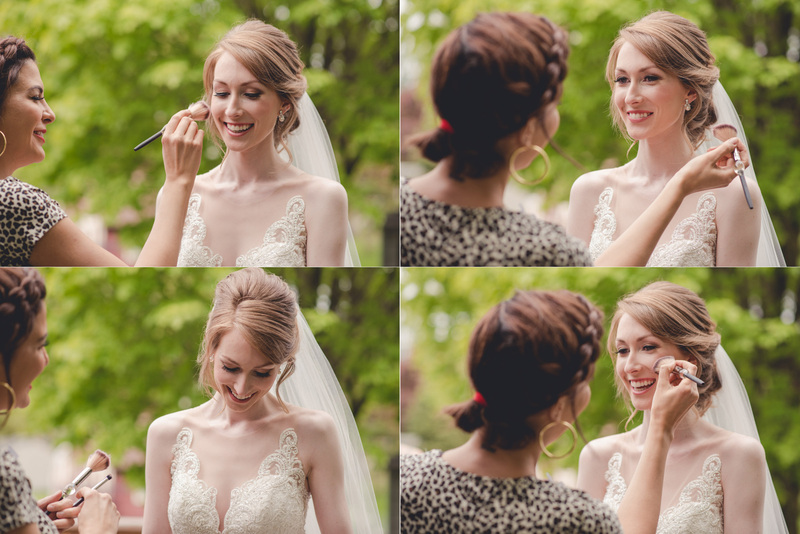 I was taken aback, and incredibly honoured that she would choose me out of the multitude of photographers that she had worked with. 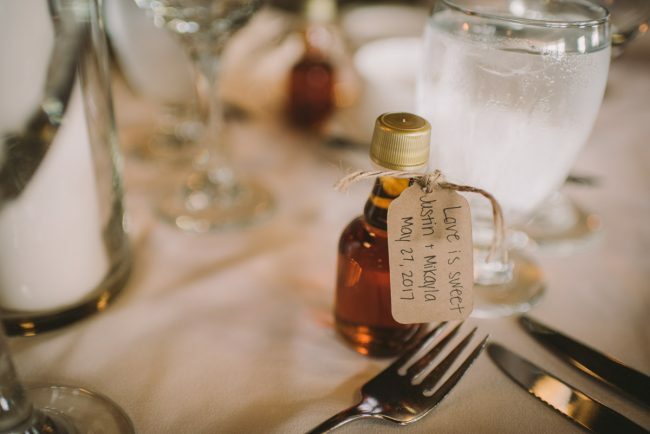 Sure enough, not long thereafter Mikayla’s partner Justin proposed, and they were officially engaged! 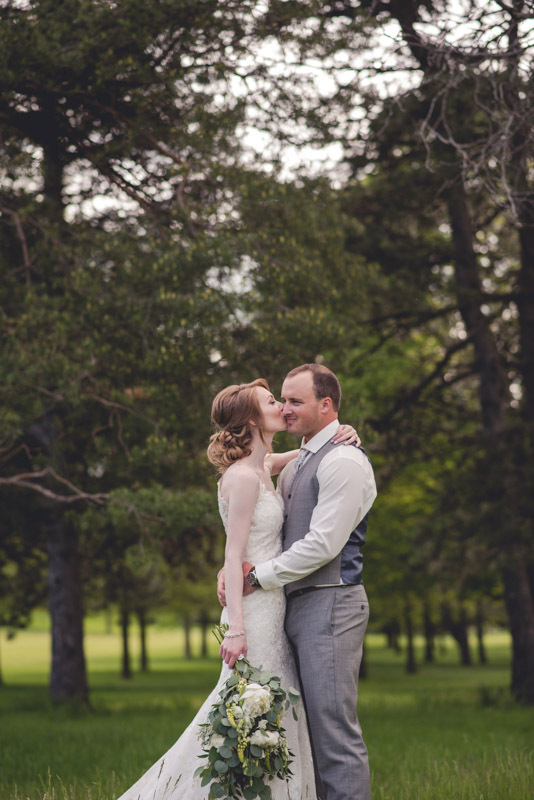 You can take a peek at Mikayla and Justin’s gorgeous autumn engagement session which featured the brilliant fall colours of 2016. 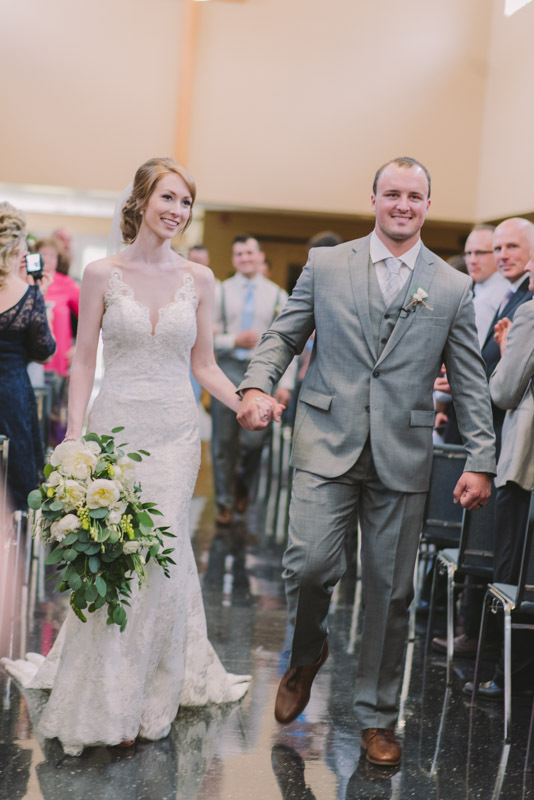 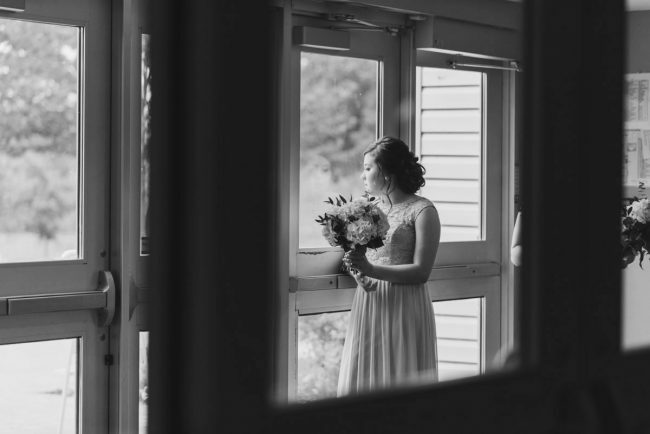 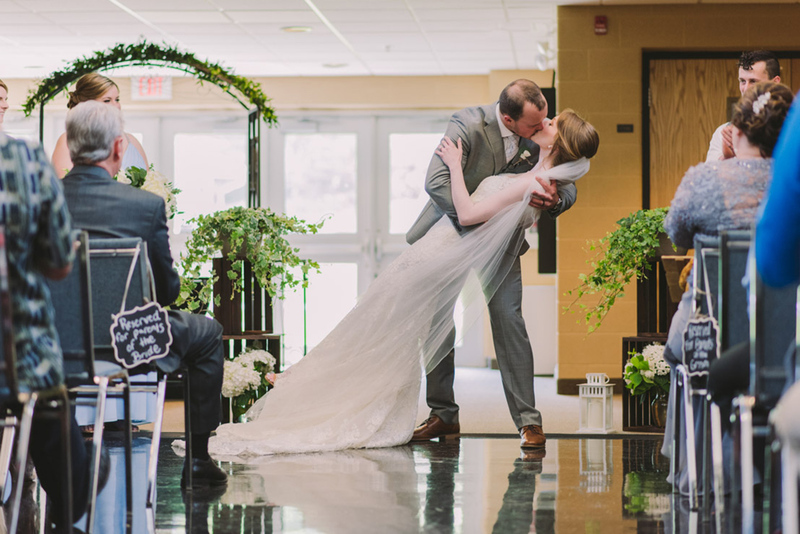 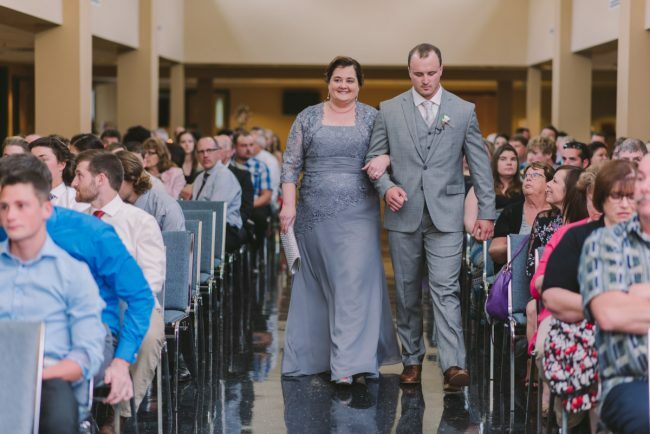 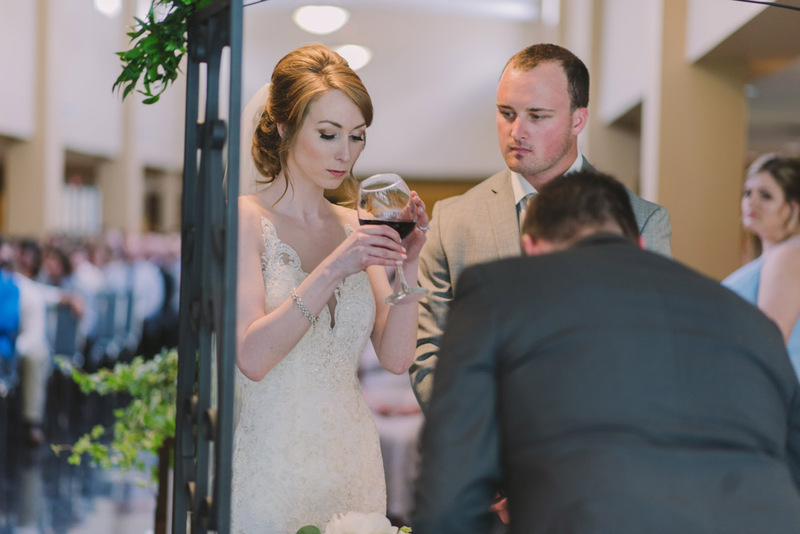 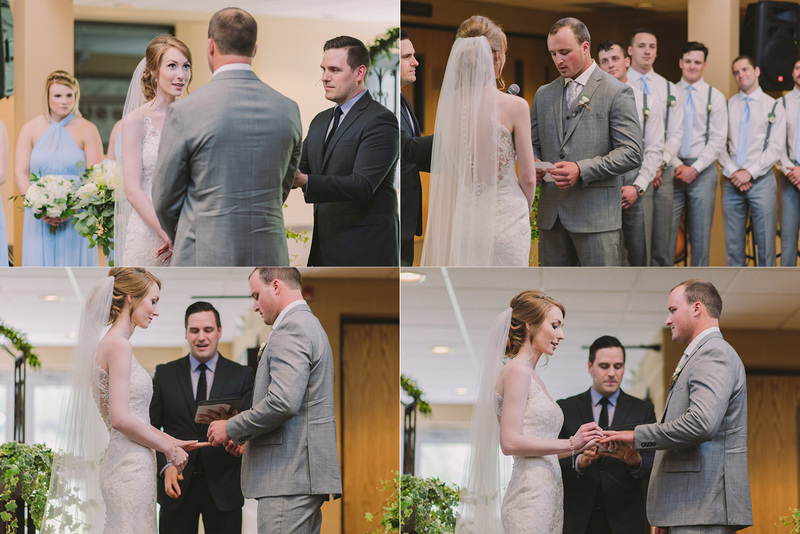 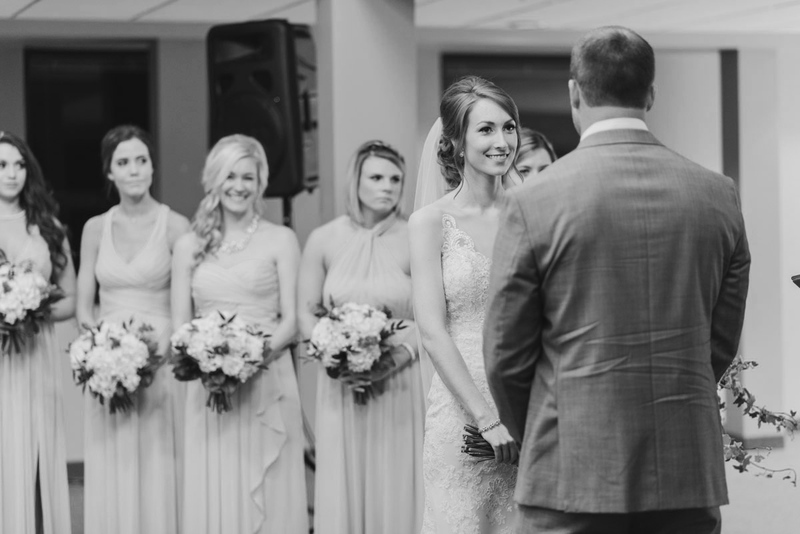 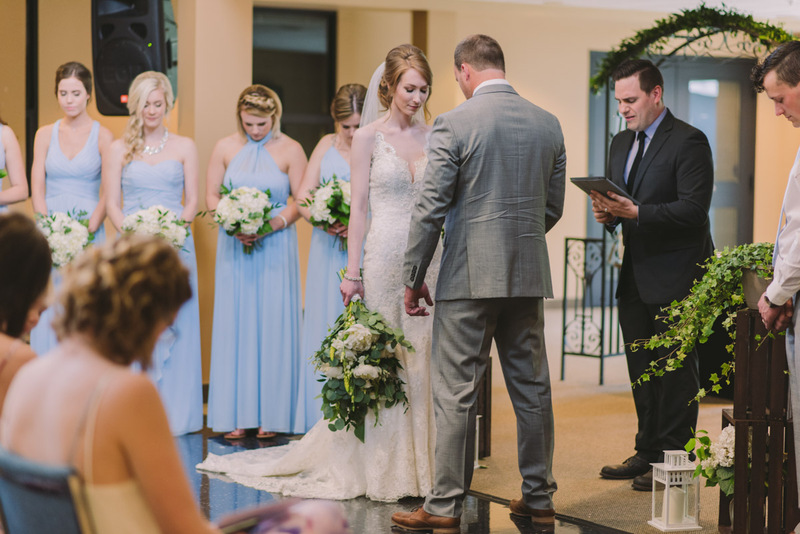 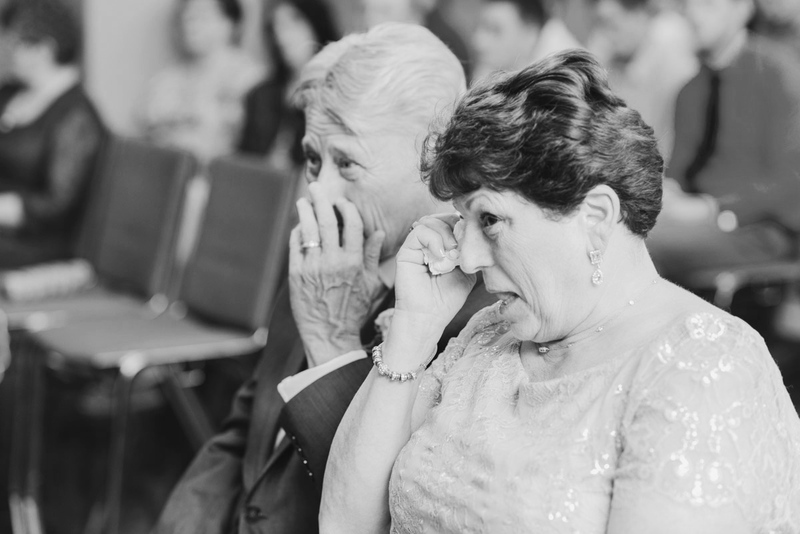 On May 27, Mikayla and Justin got ready in separate locations, and prior to their ceremony enjoyed an emotional First Look. 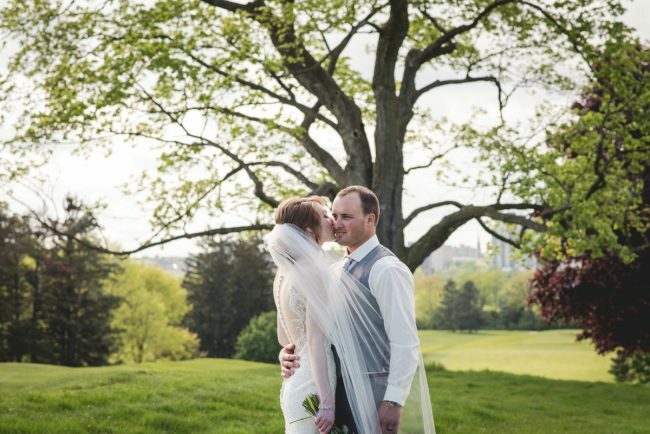 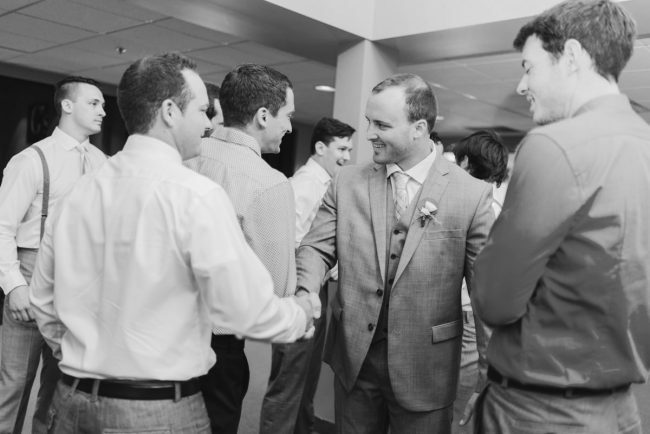 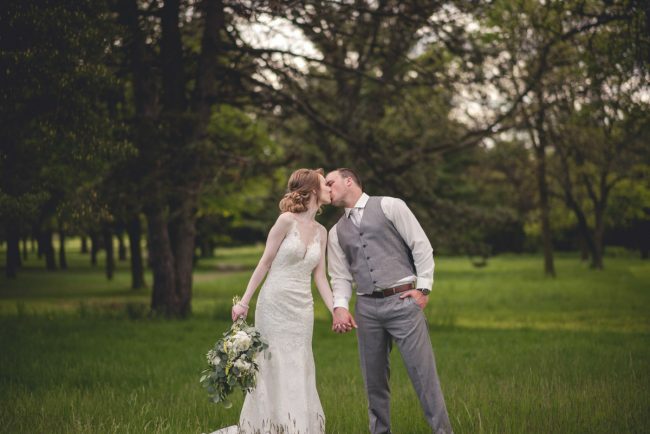 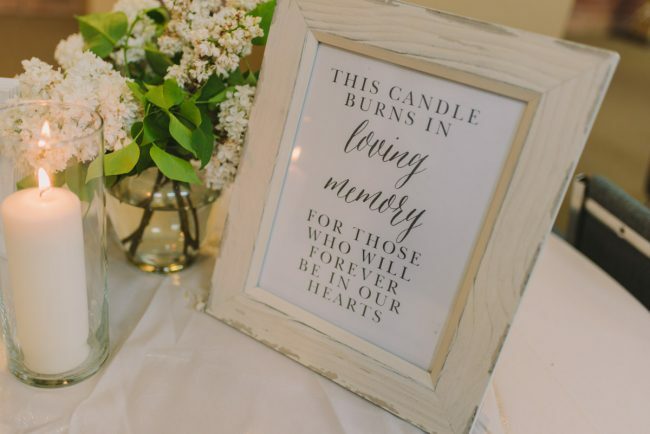 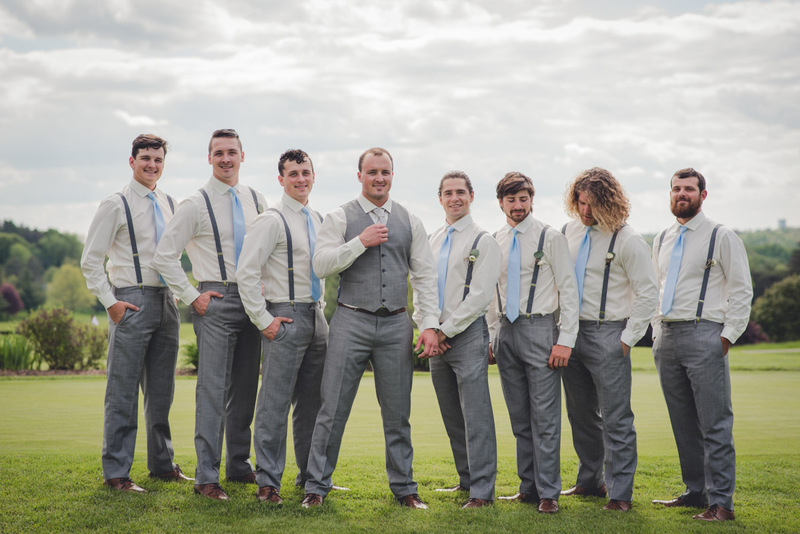 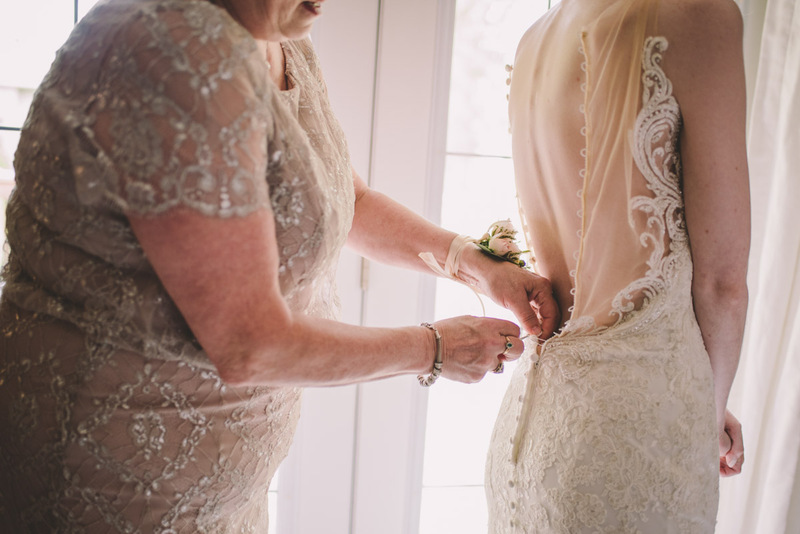 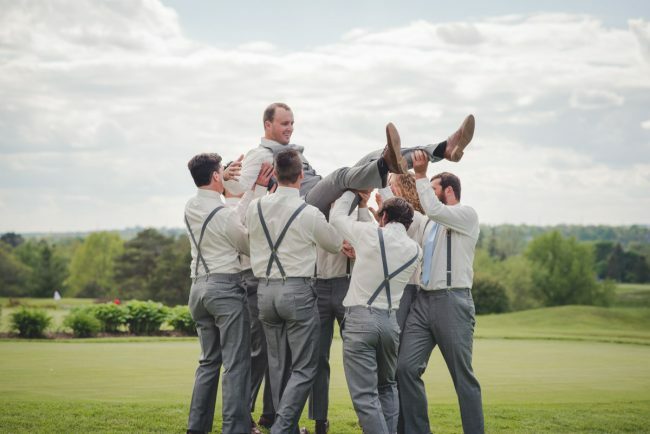 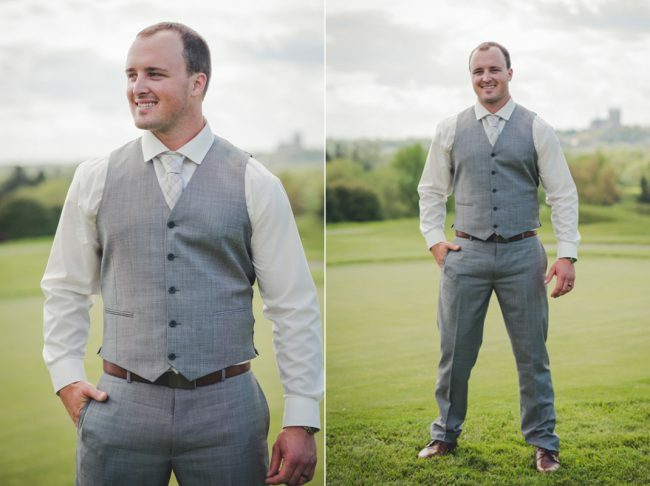 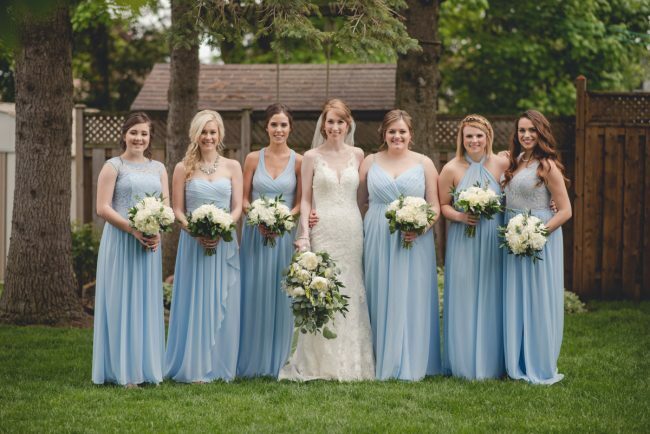 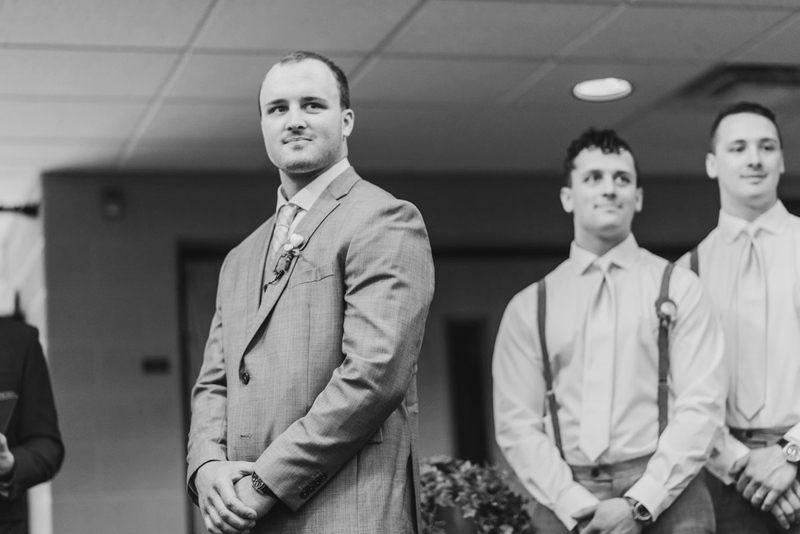 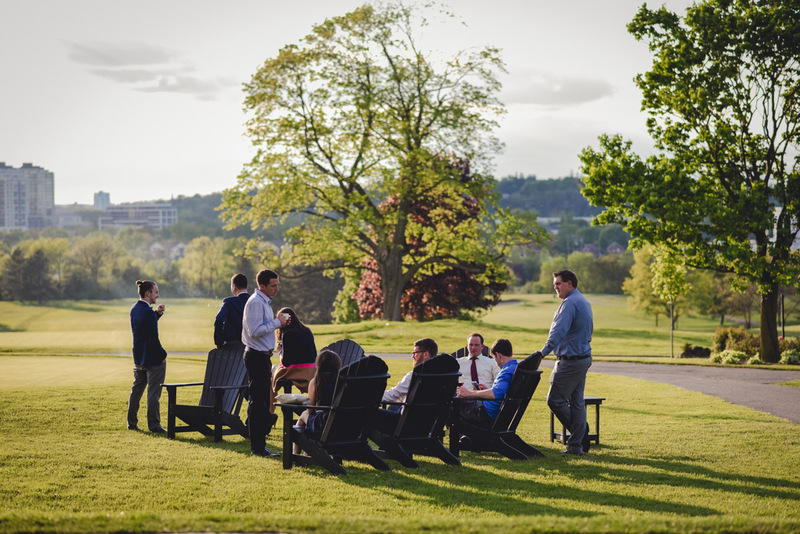 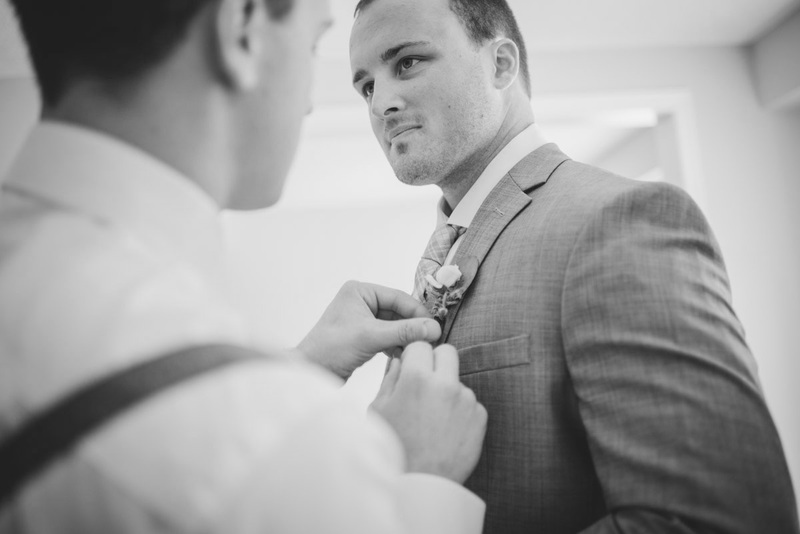 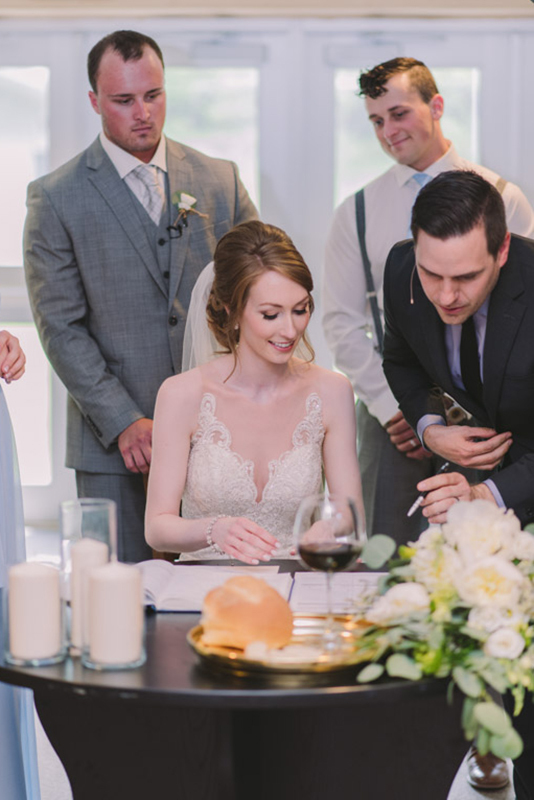 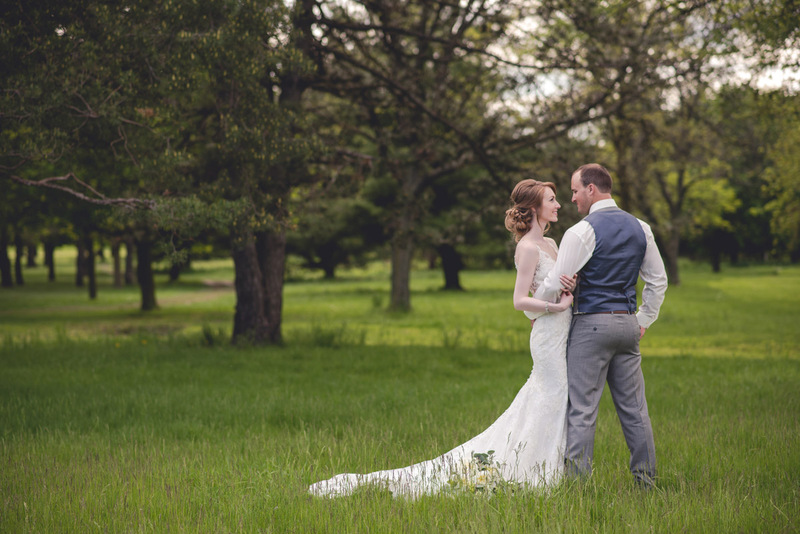 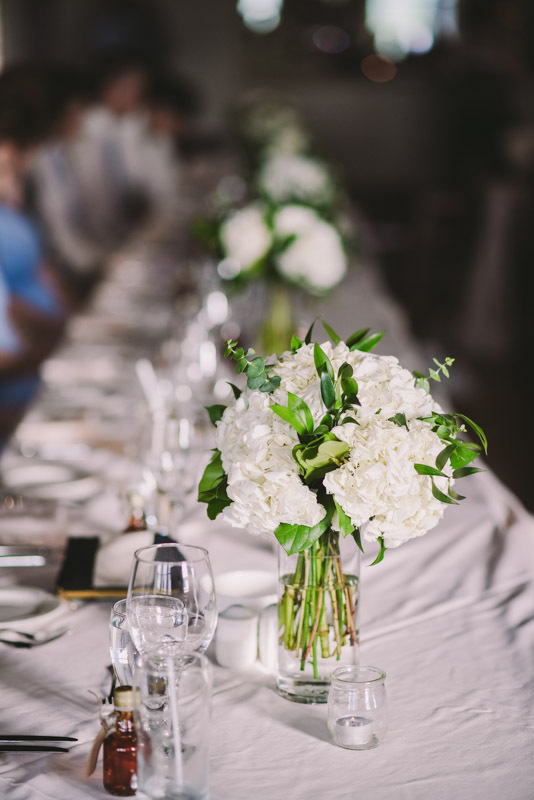 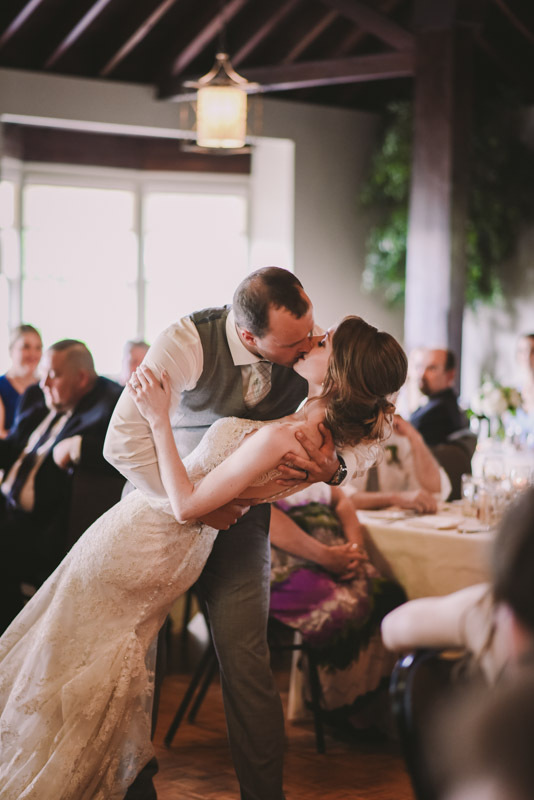 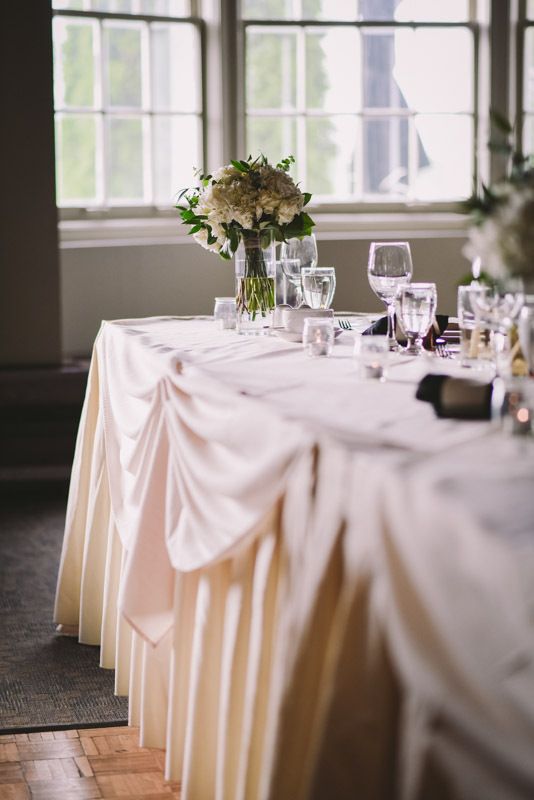 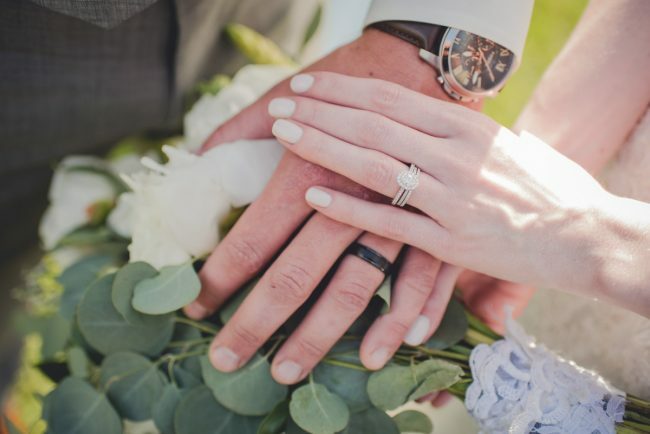 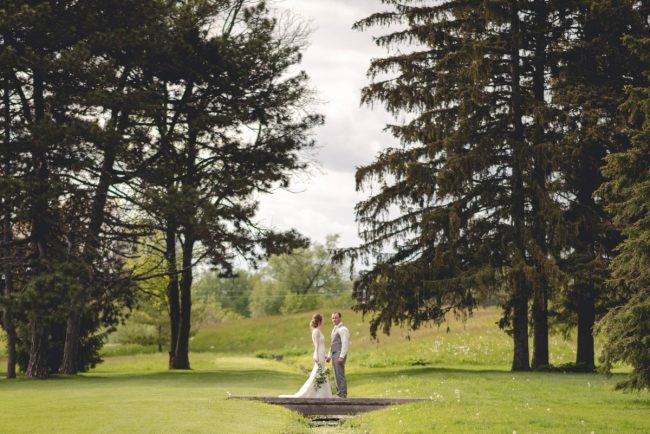 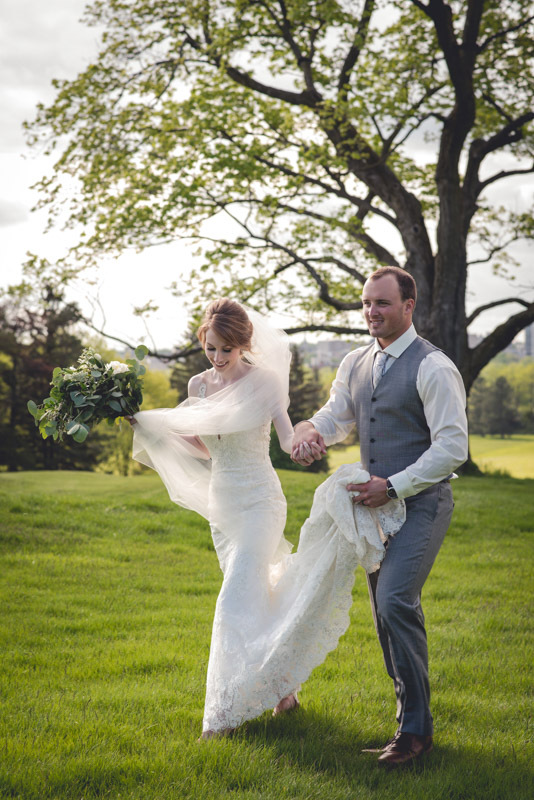 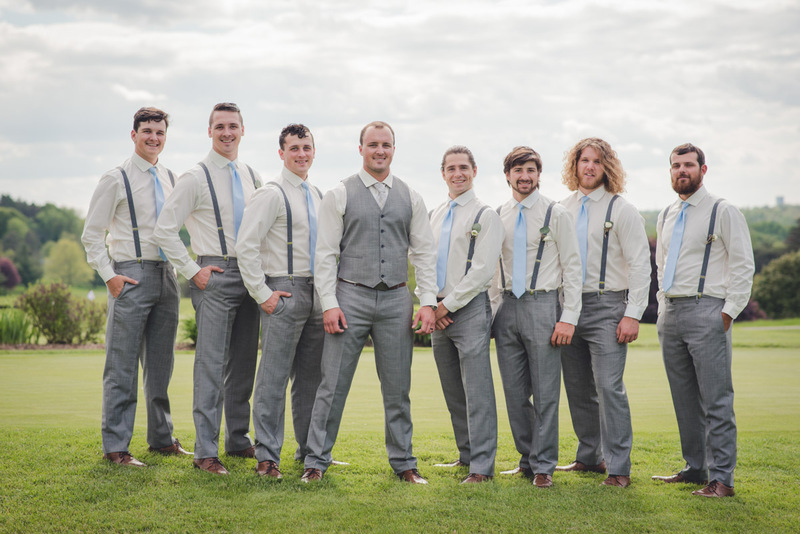 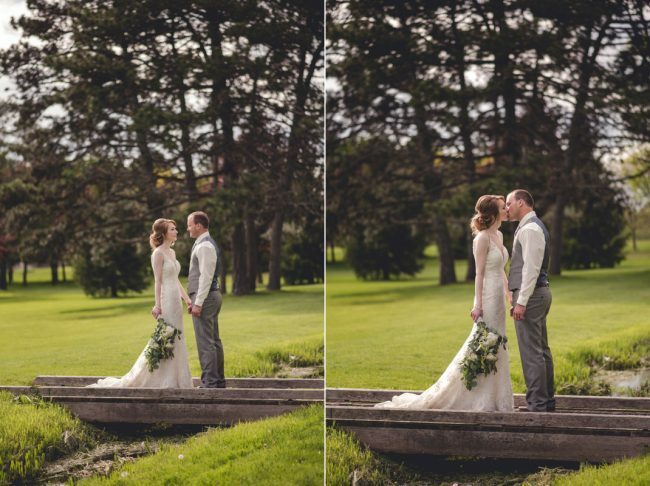 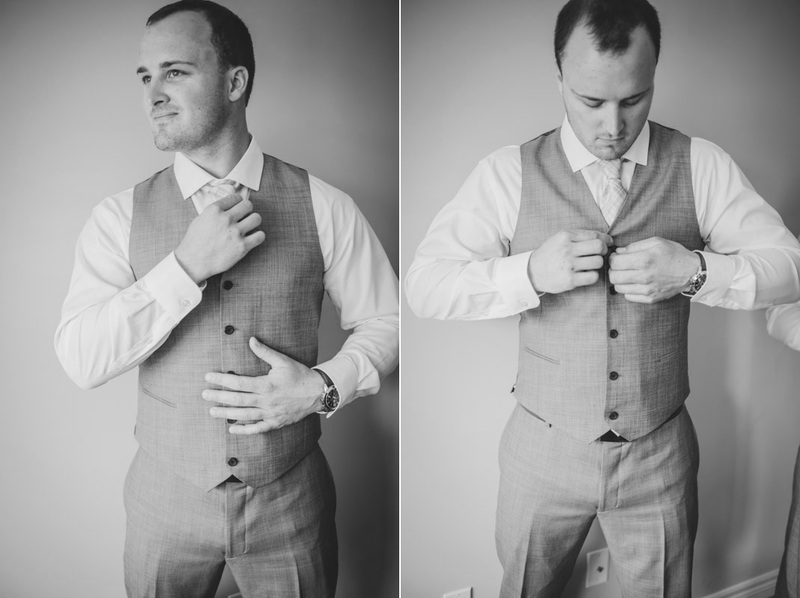 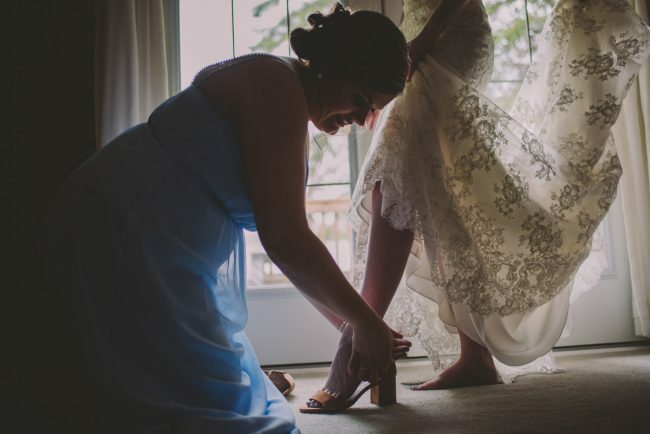 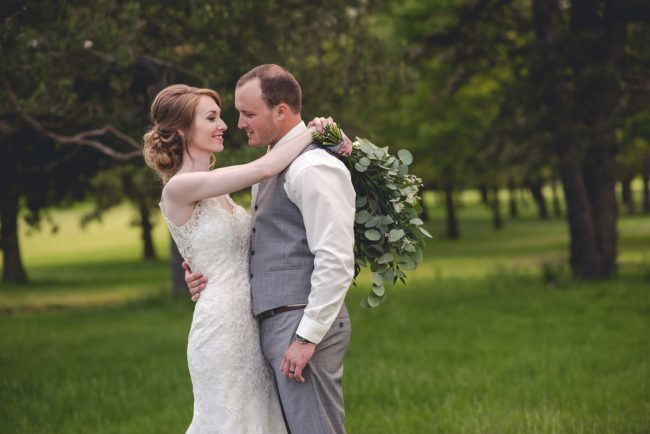 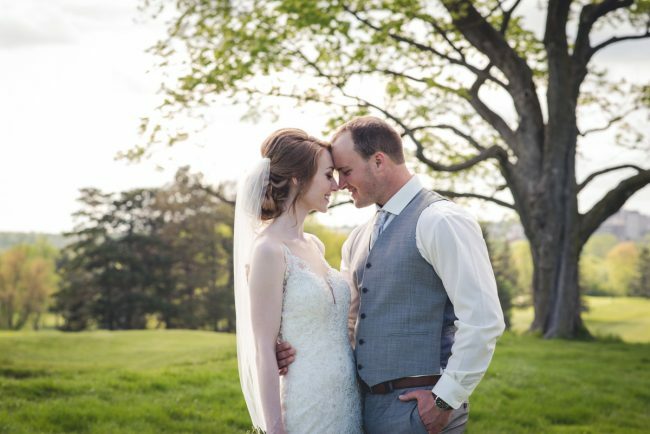 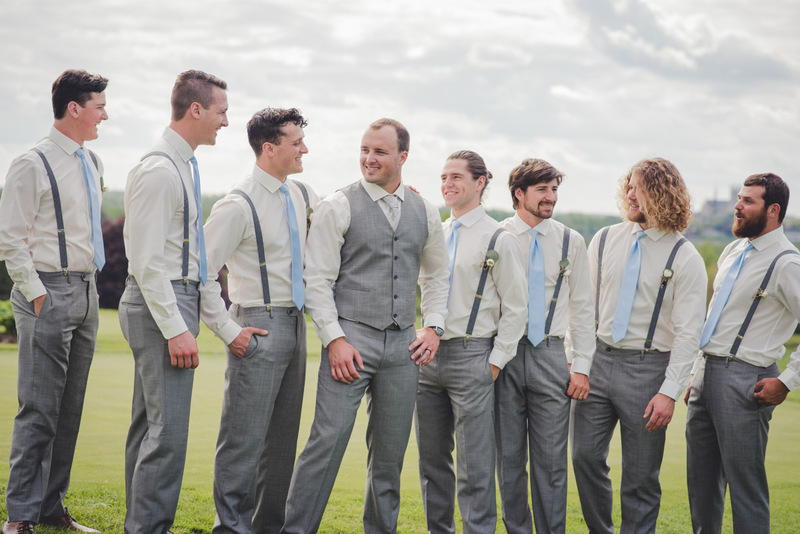 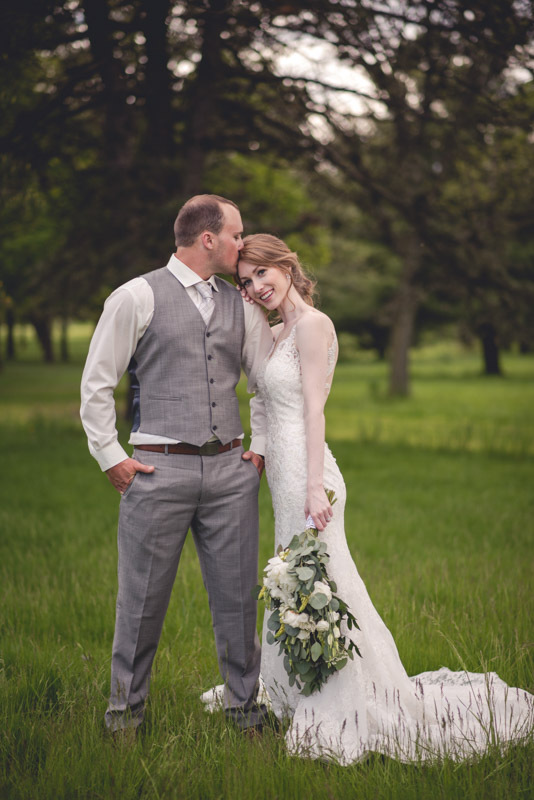 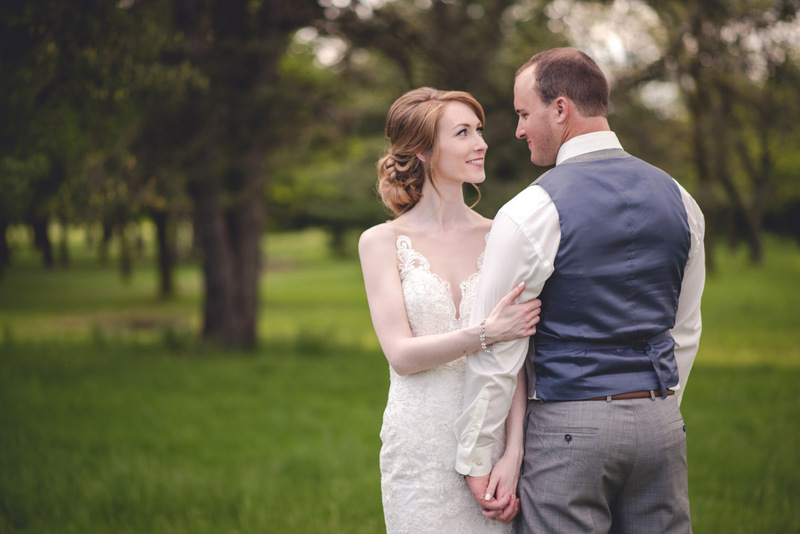 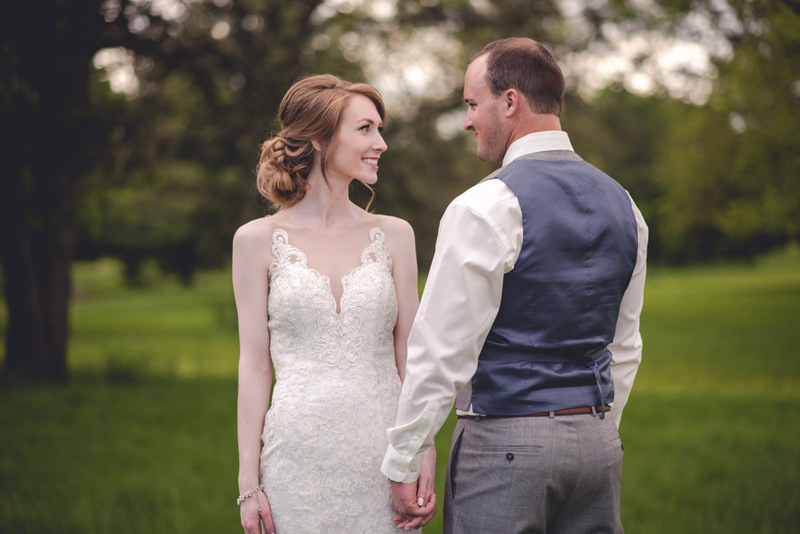 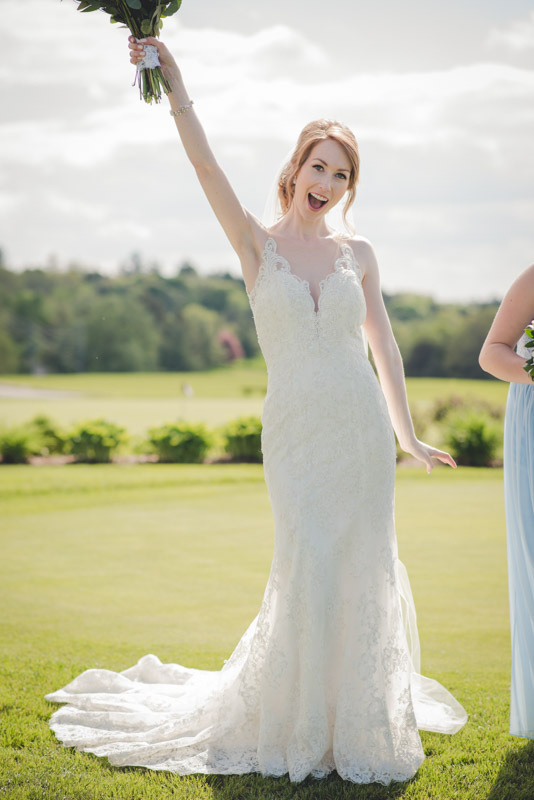 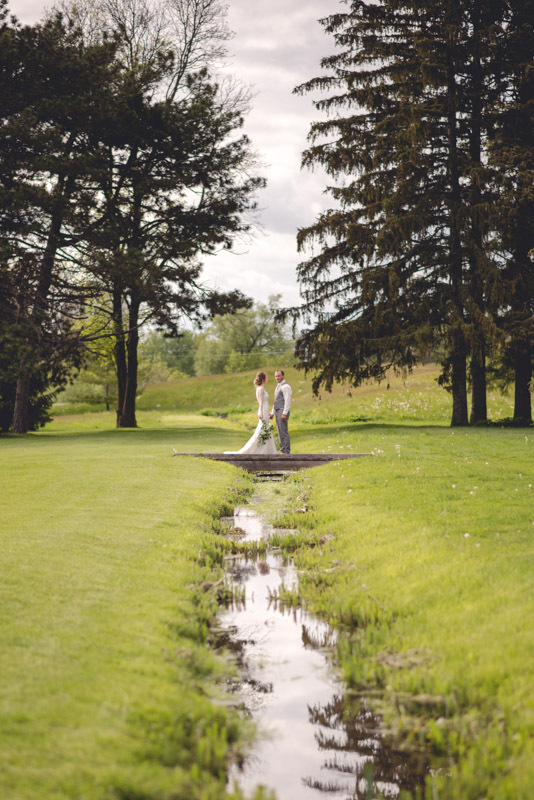 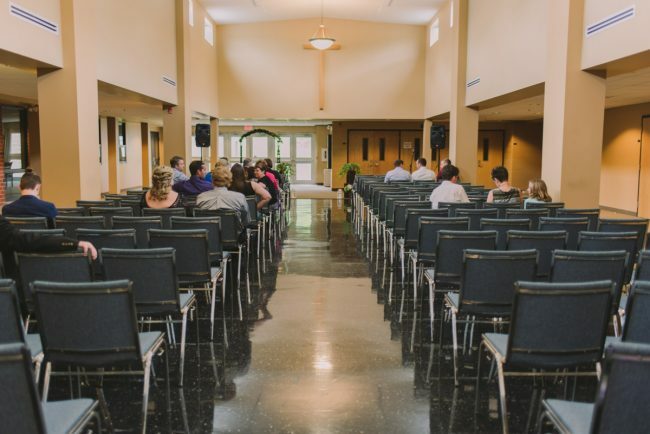 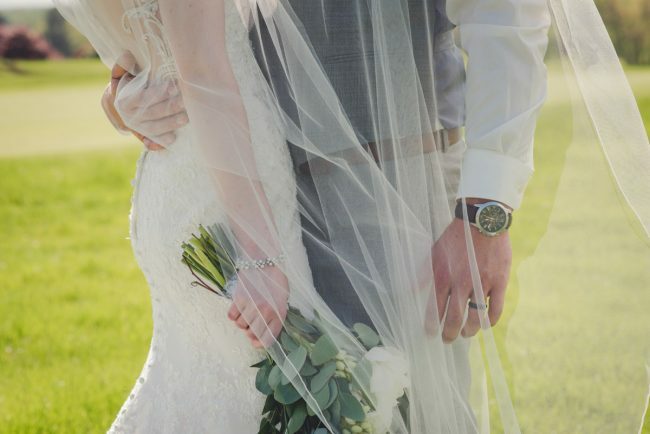 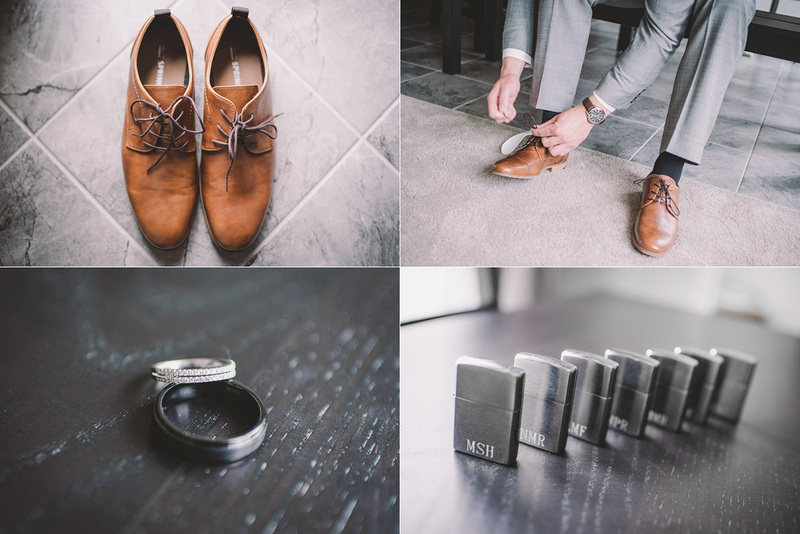 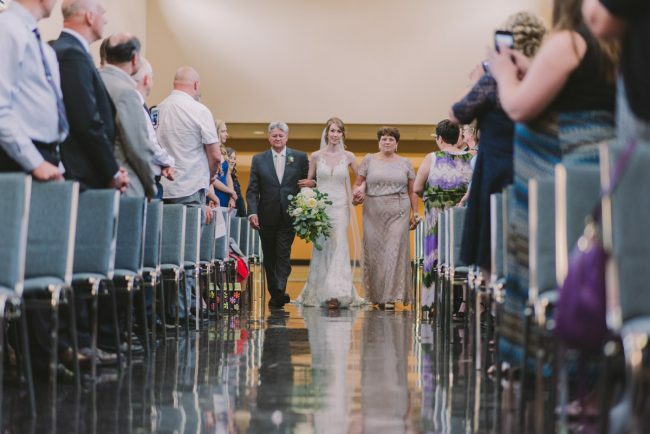 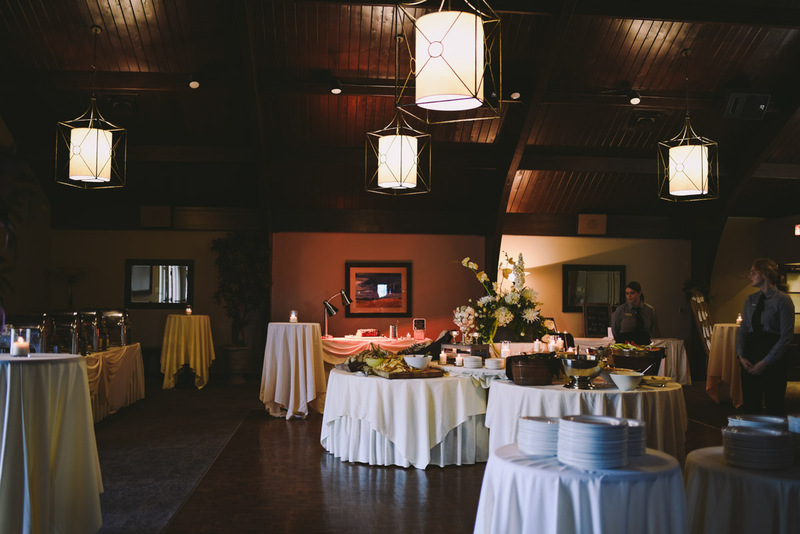 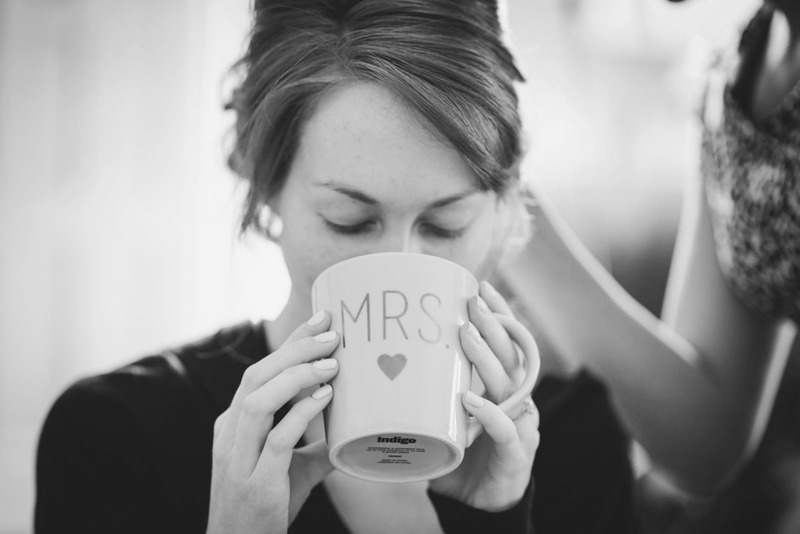 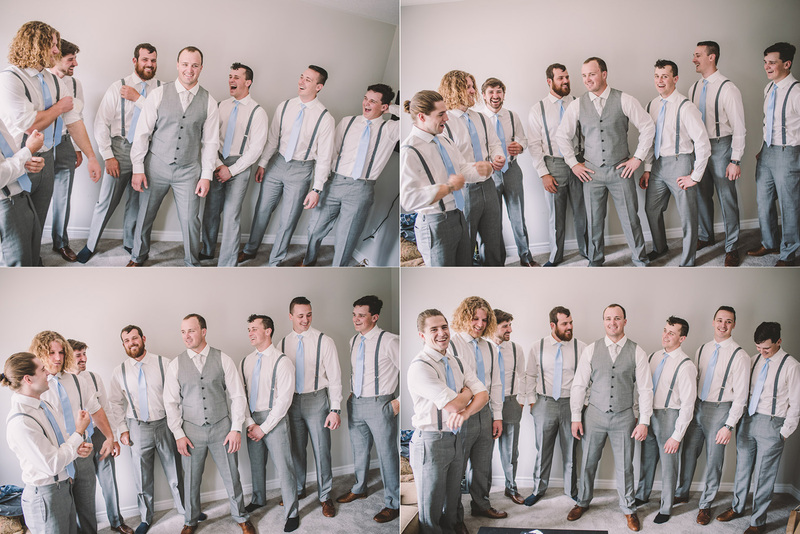 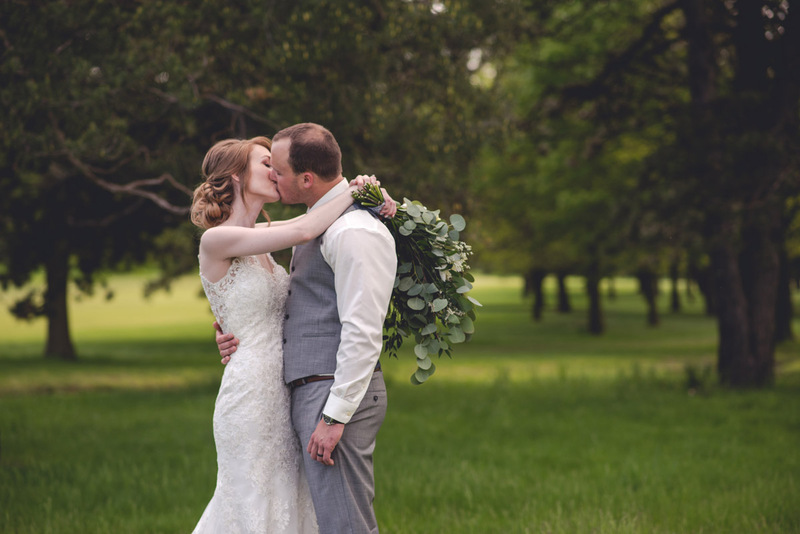 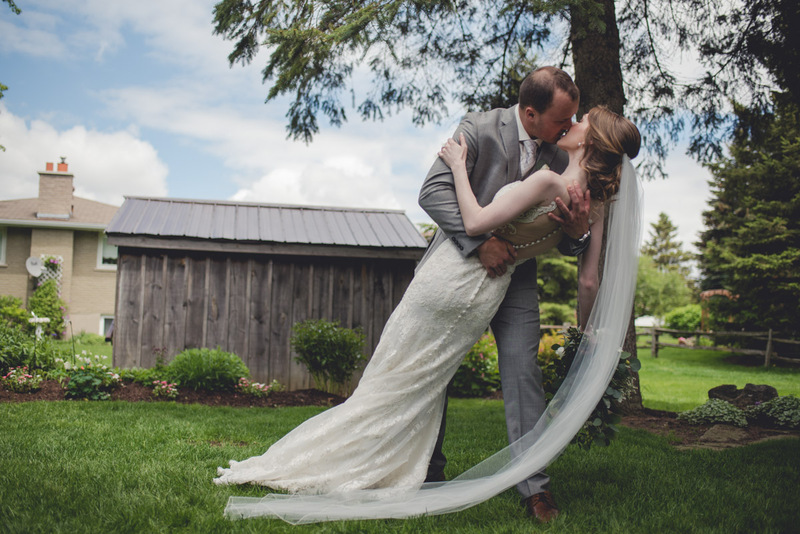 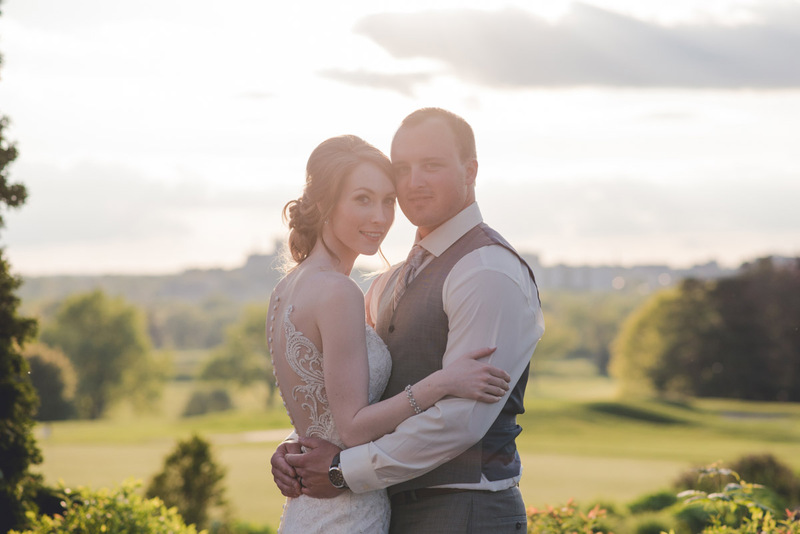 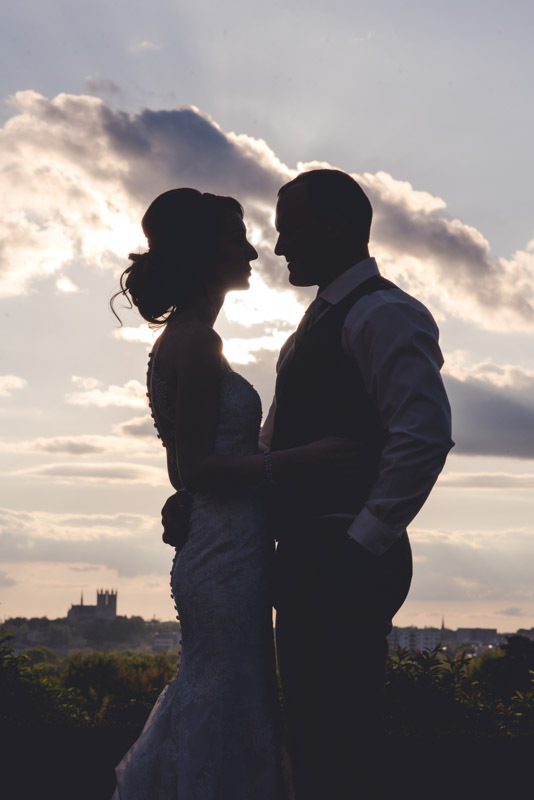 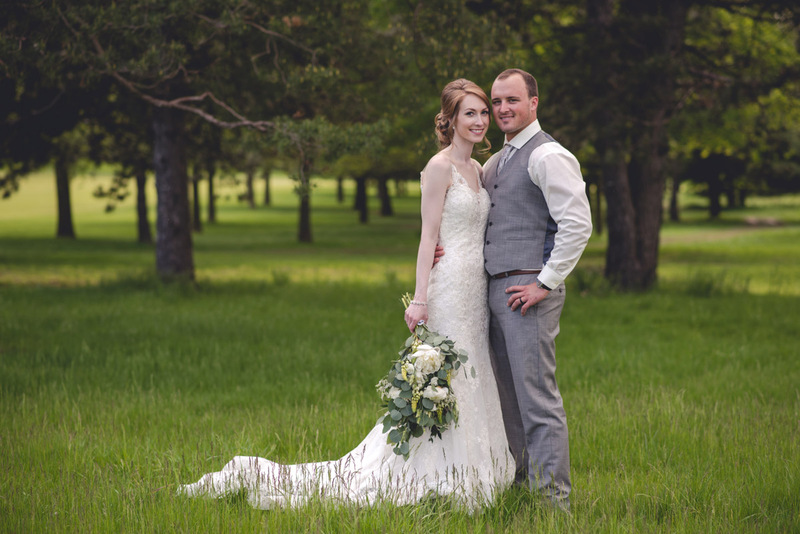 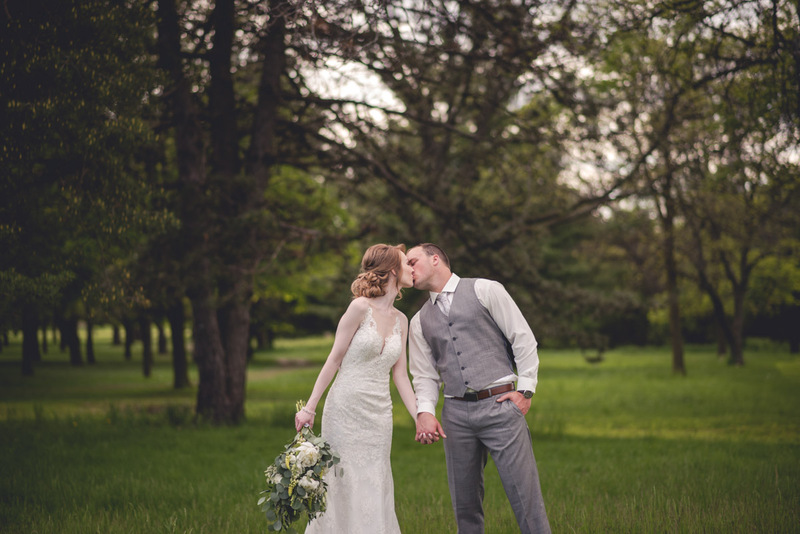 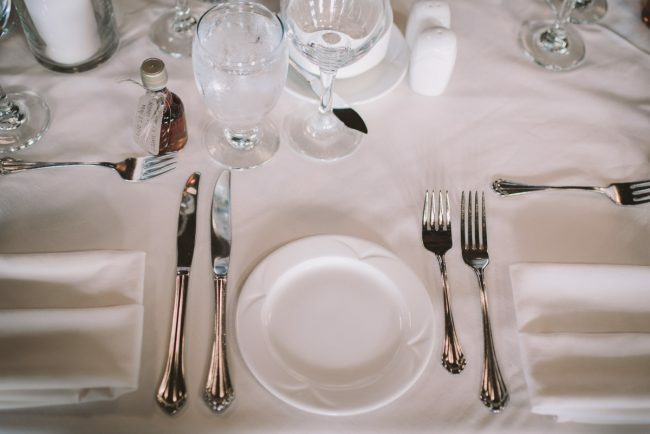 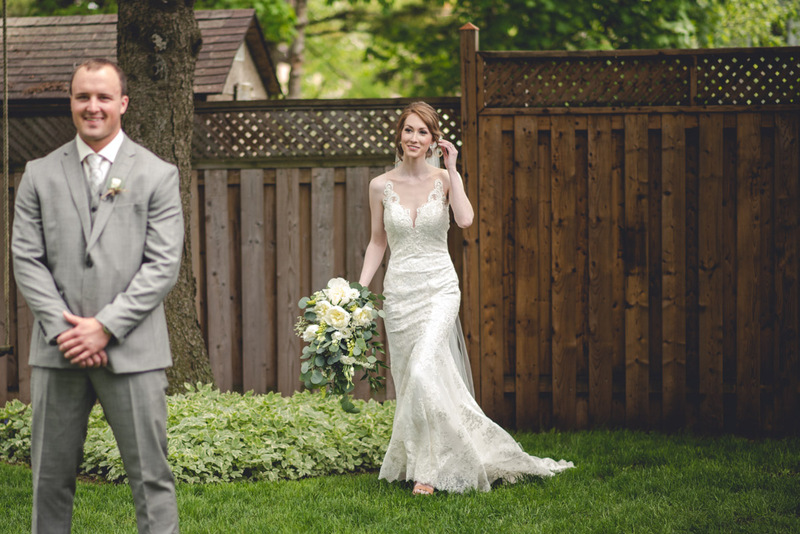 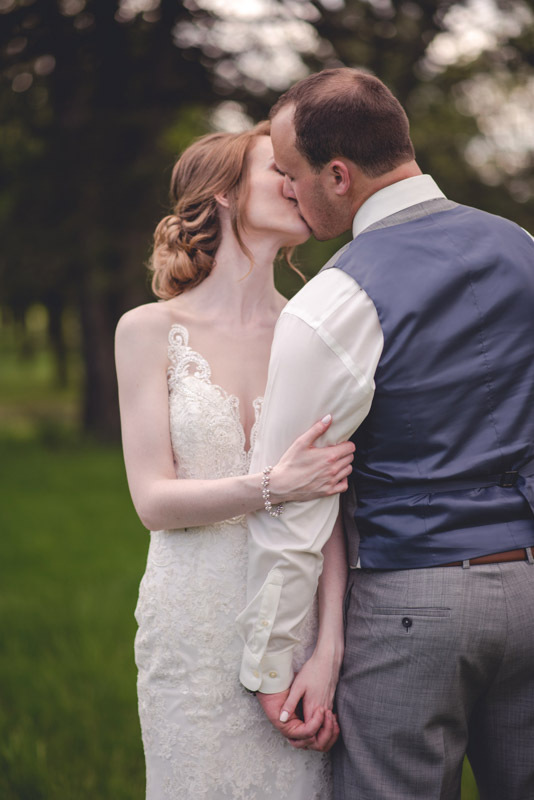 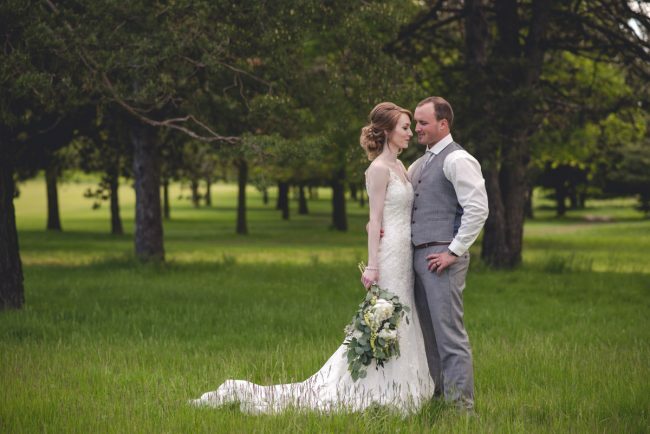 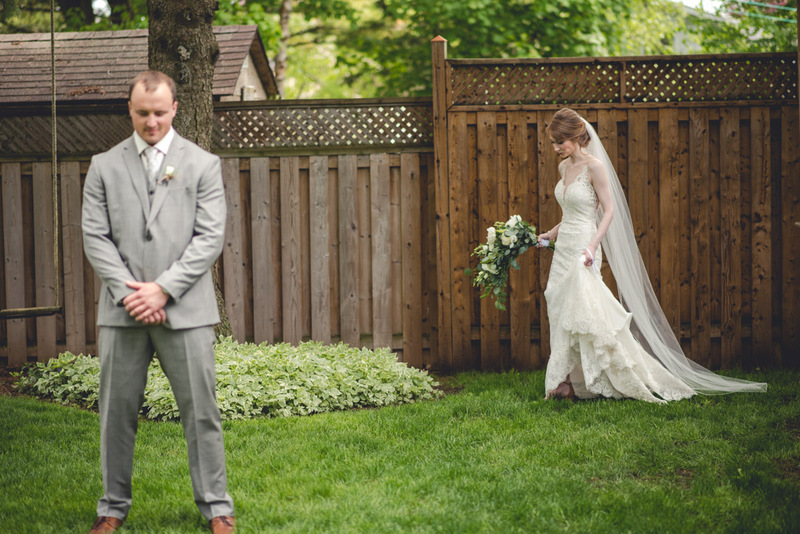 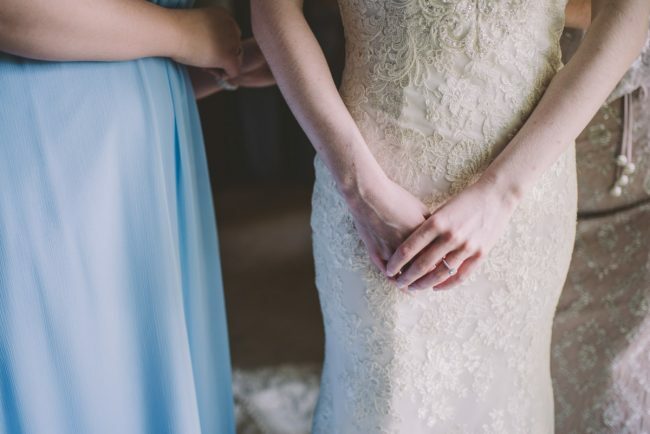 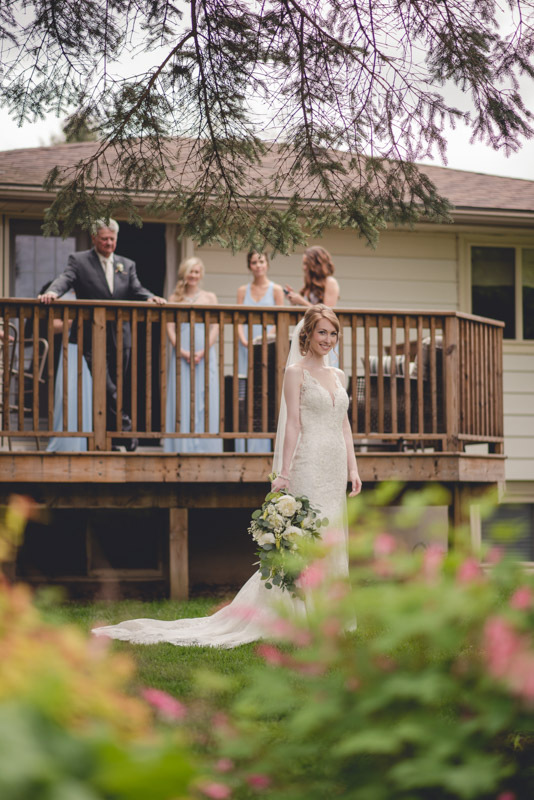 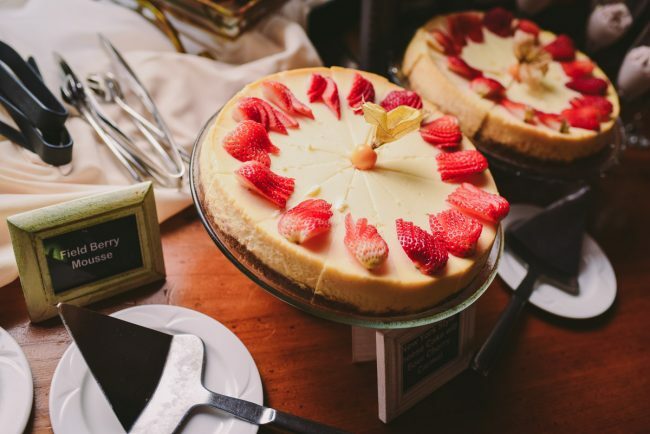 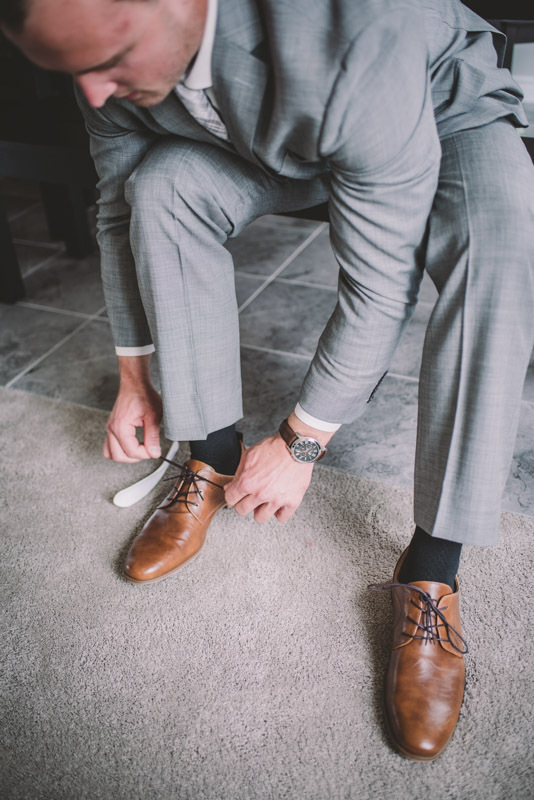 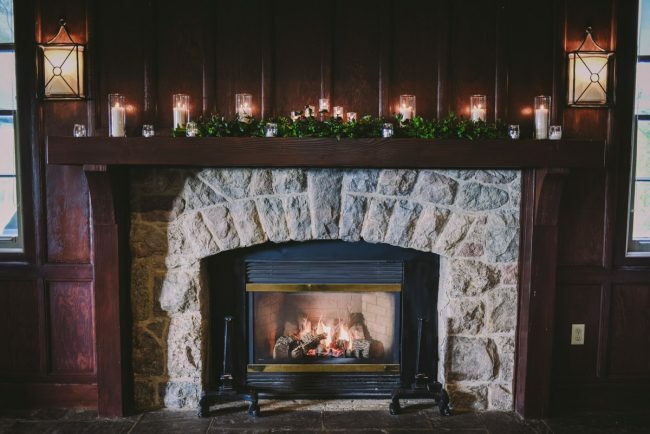 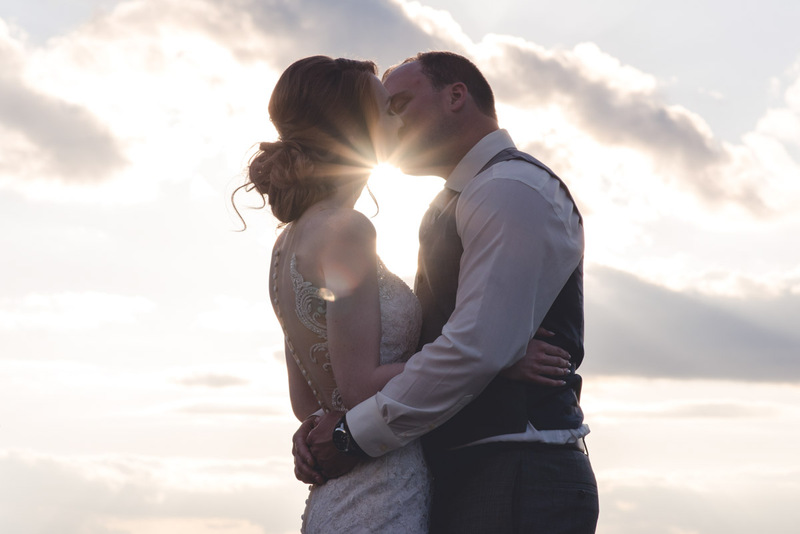 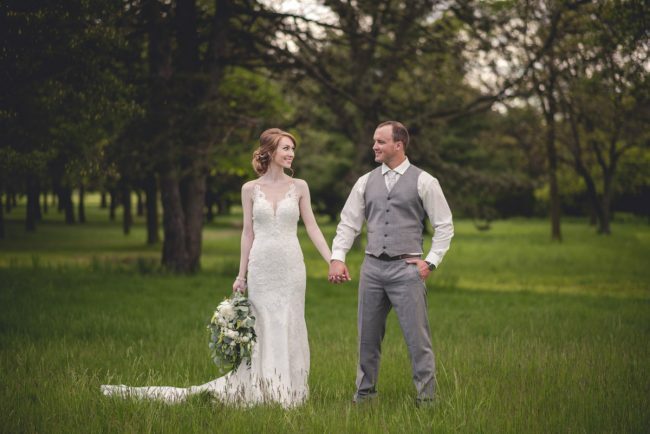 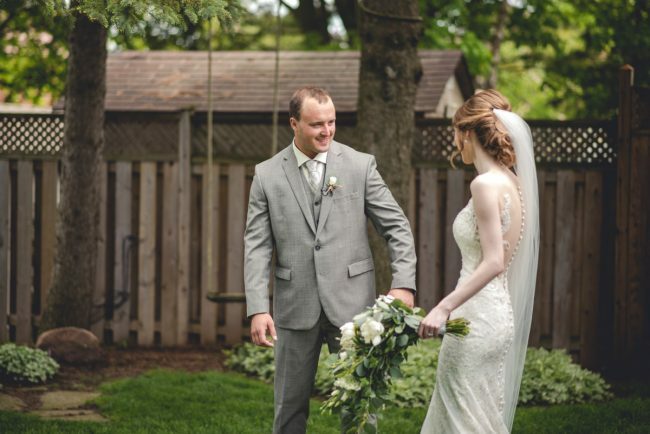 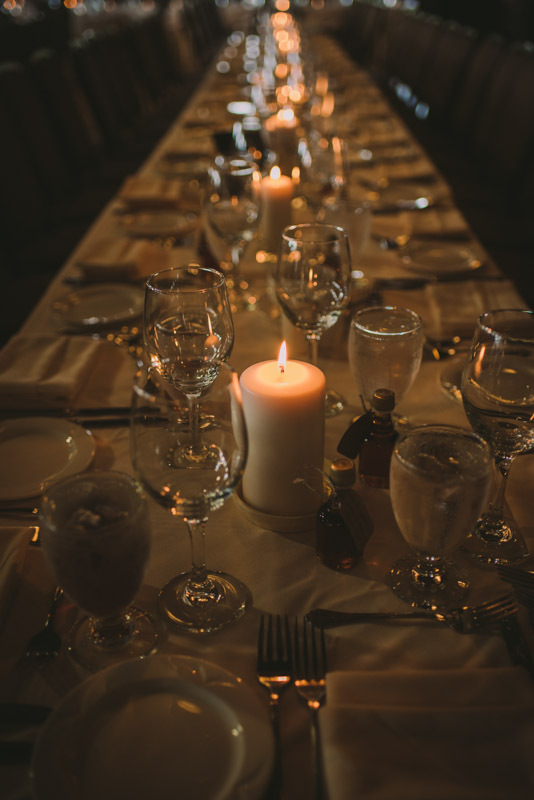 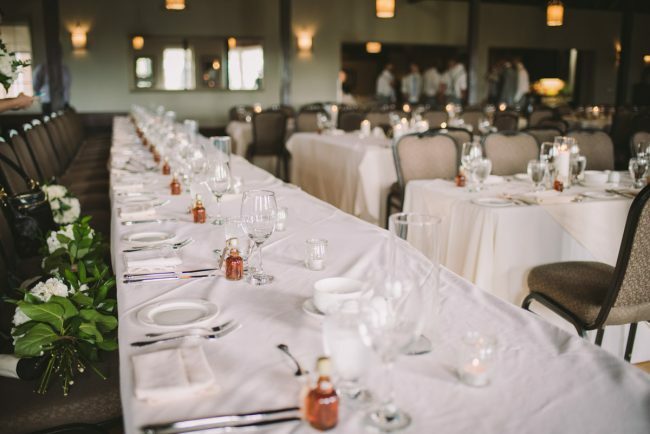 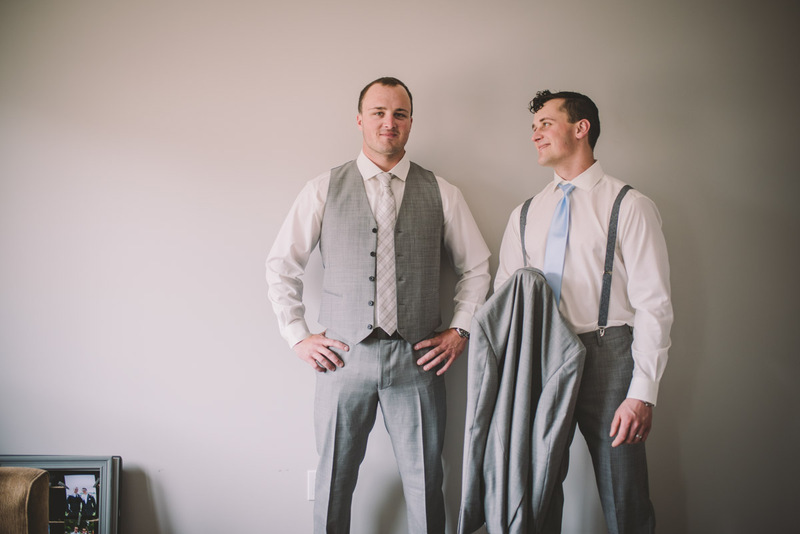 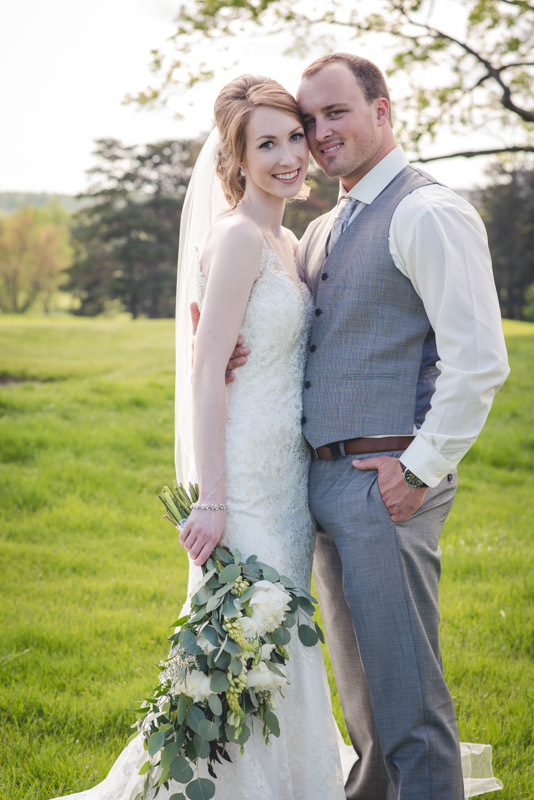 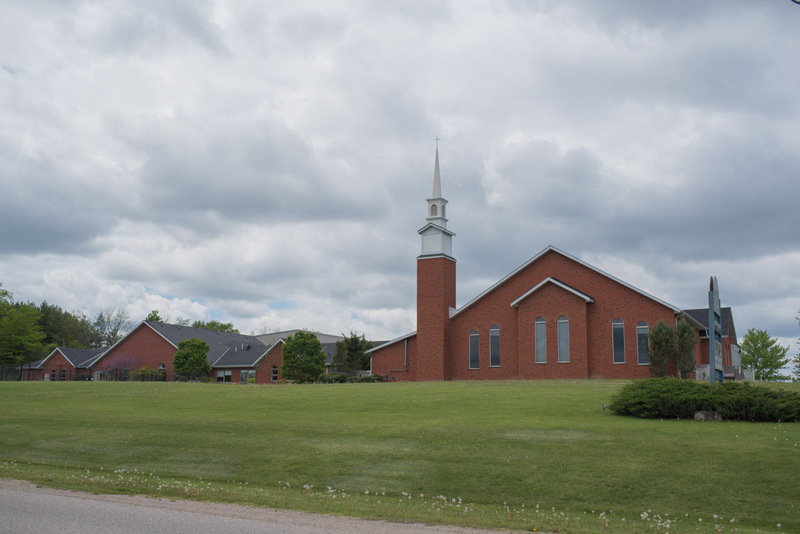 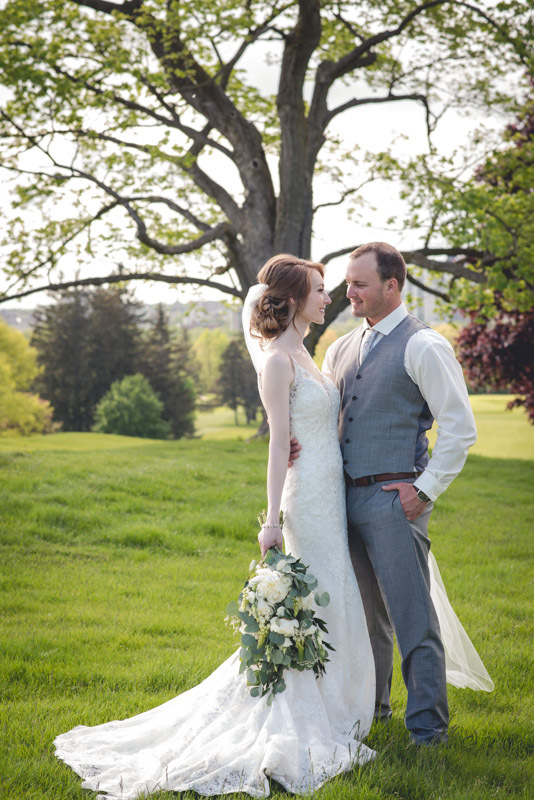 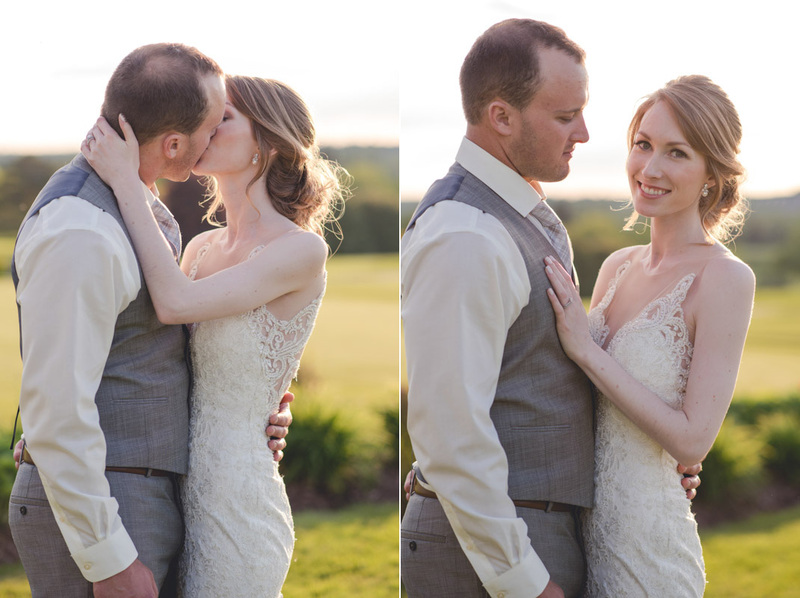 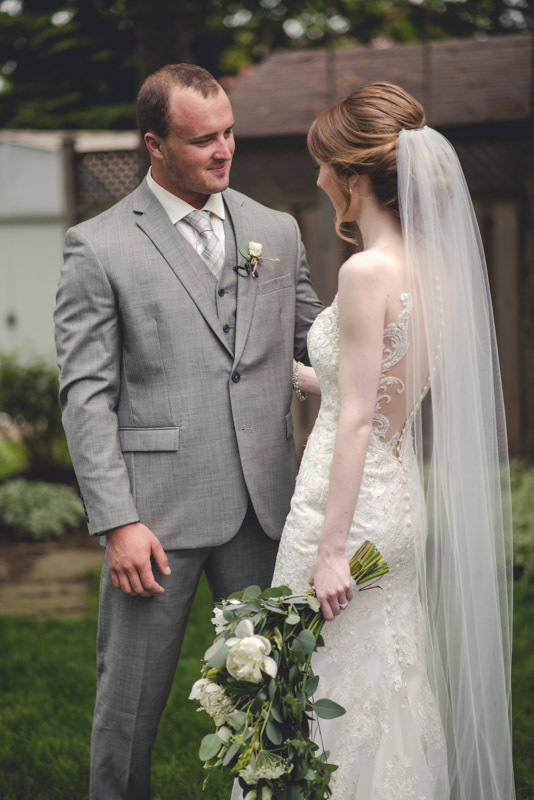 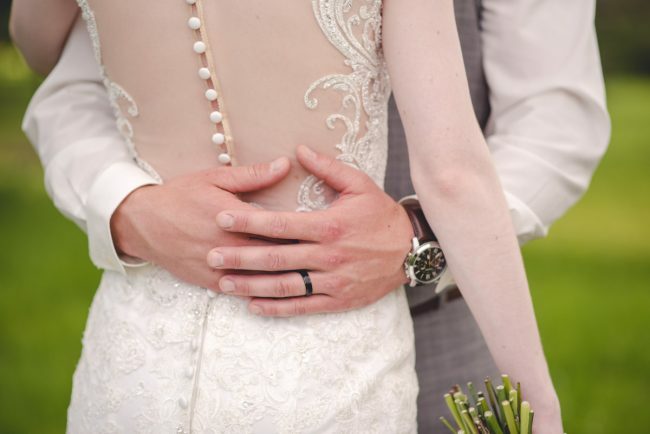 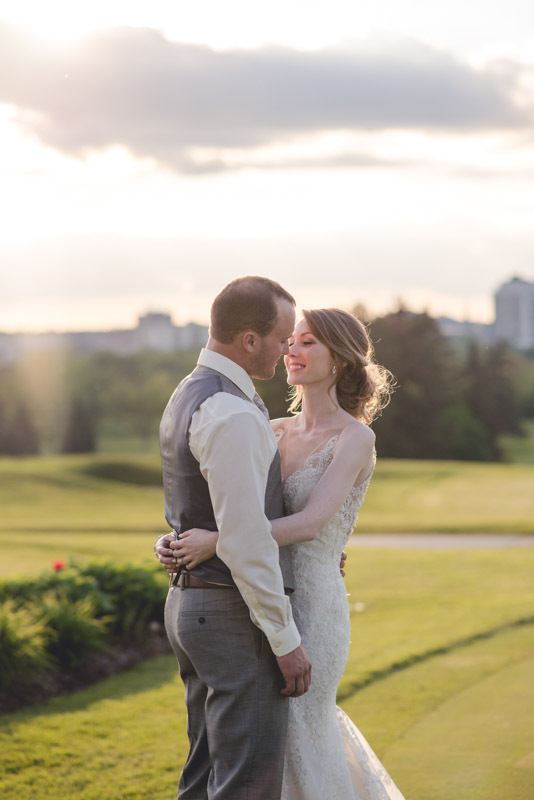 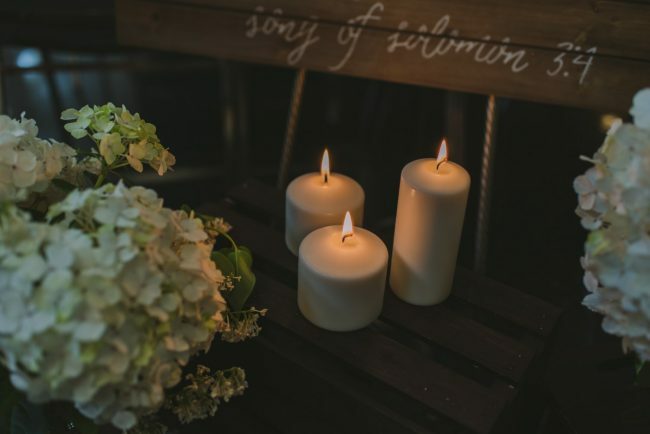 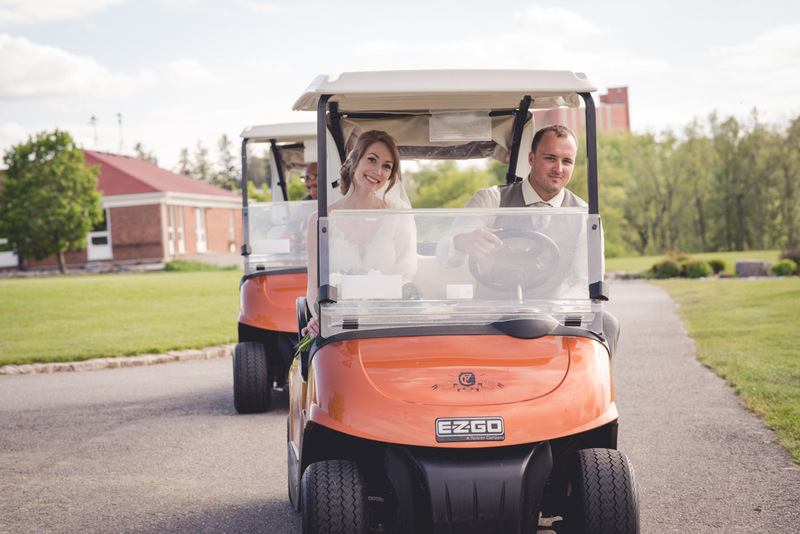 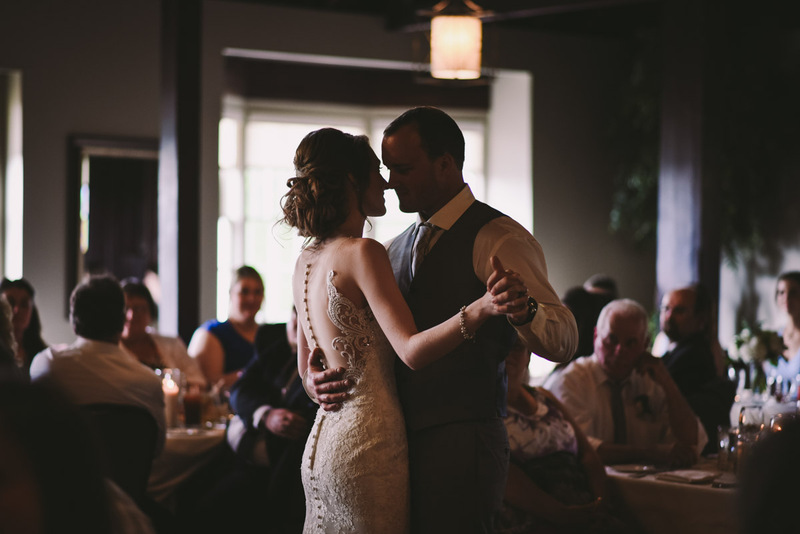 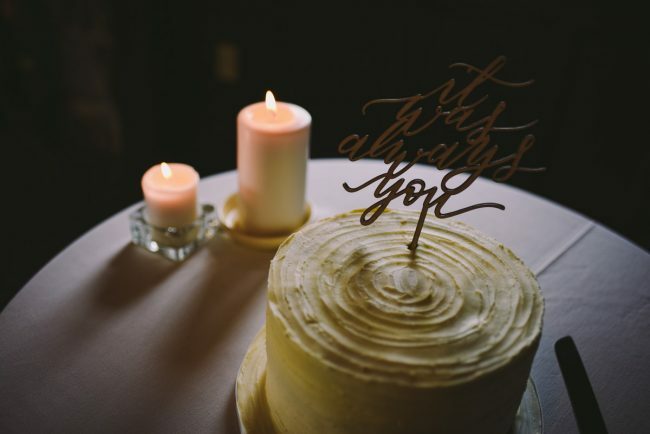 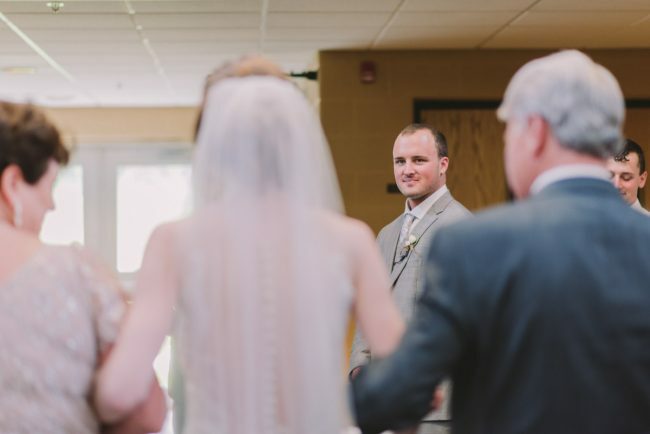 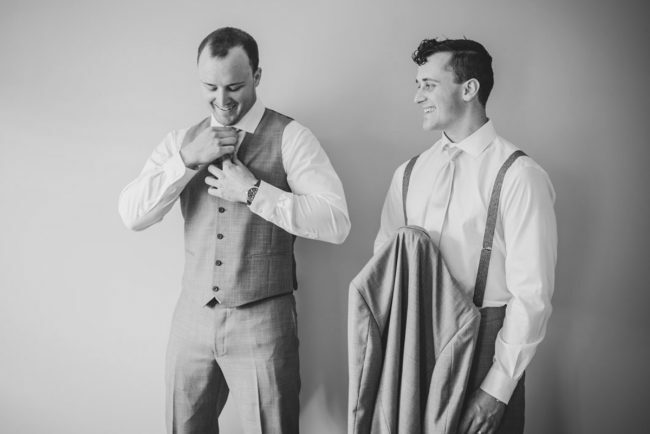 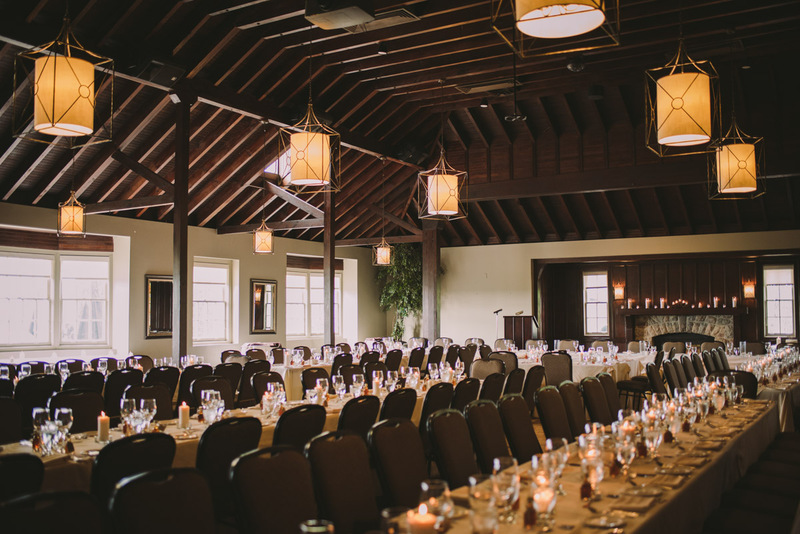 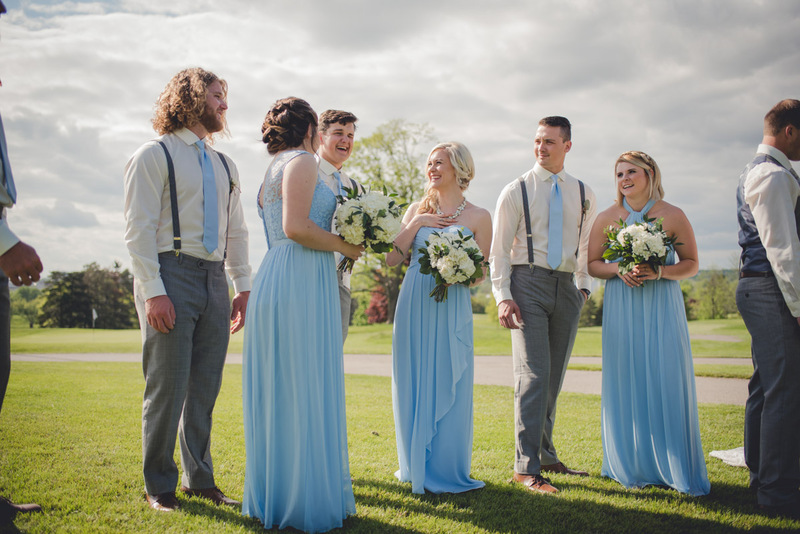 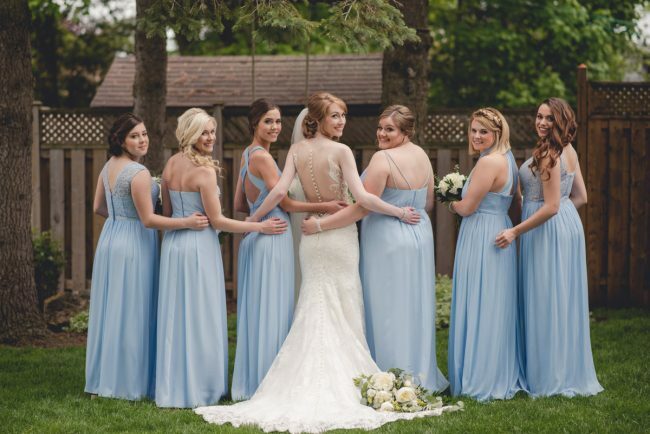 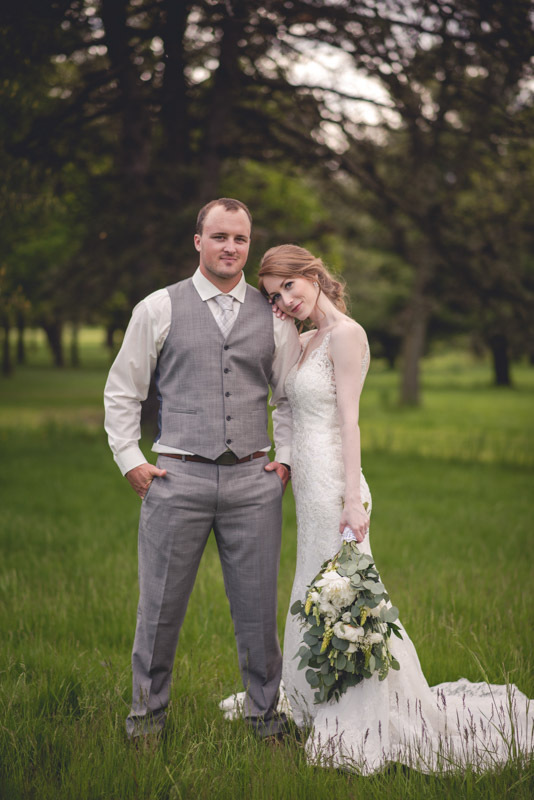 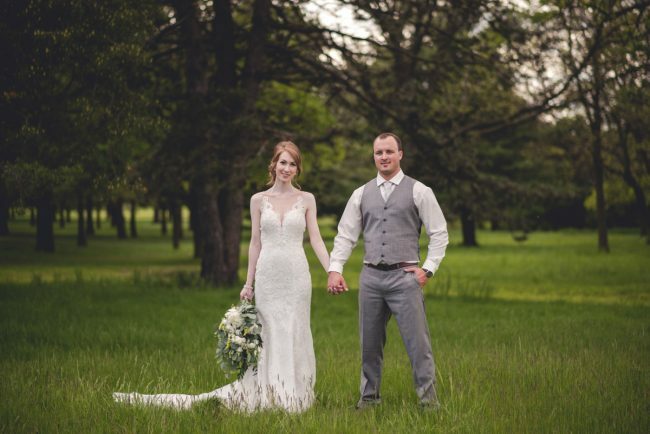 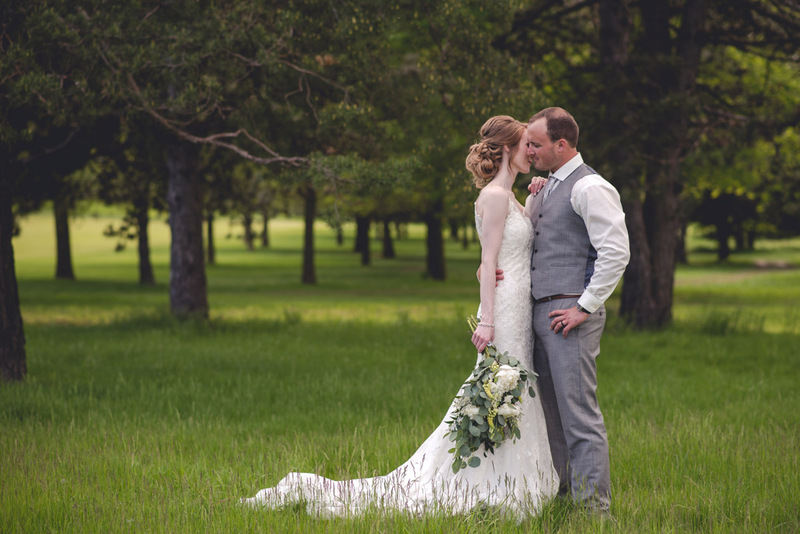 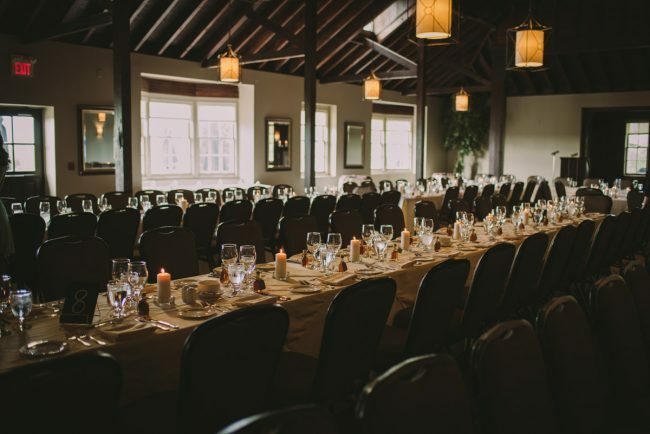 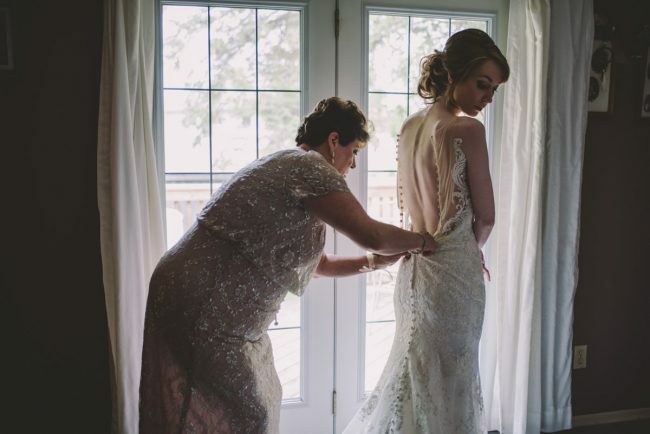 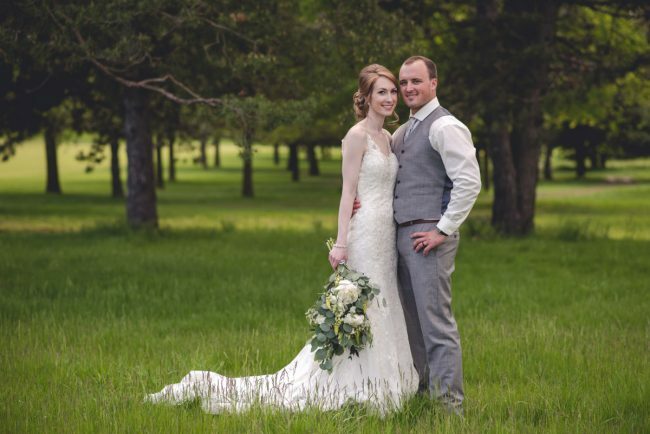 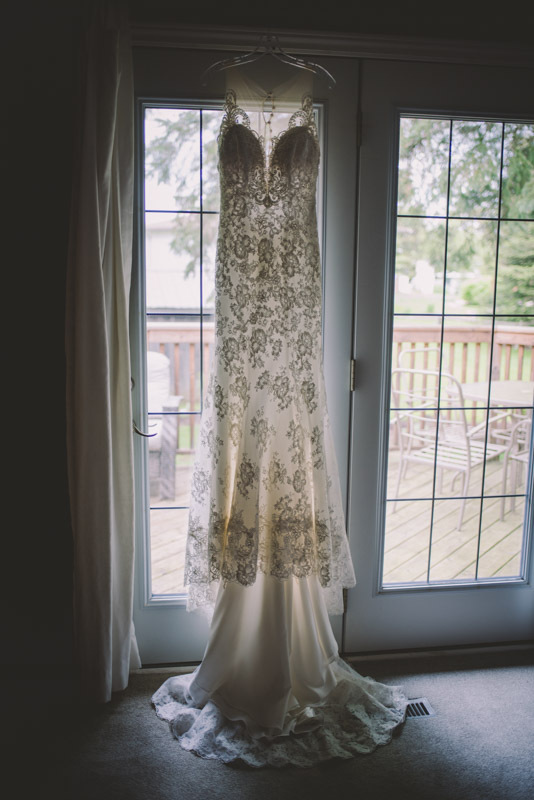 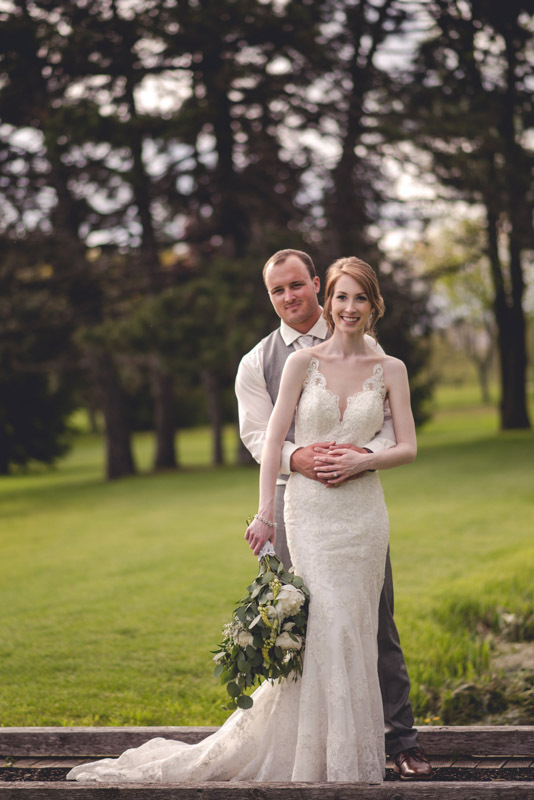 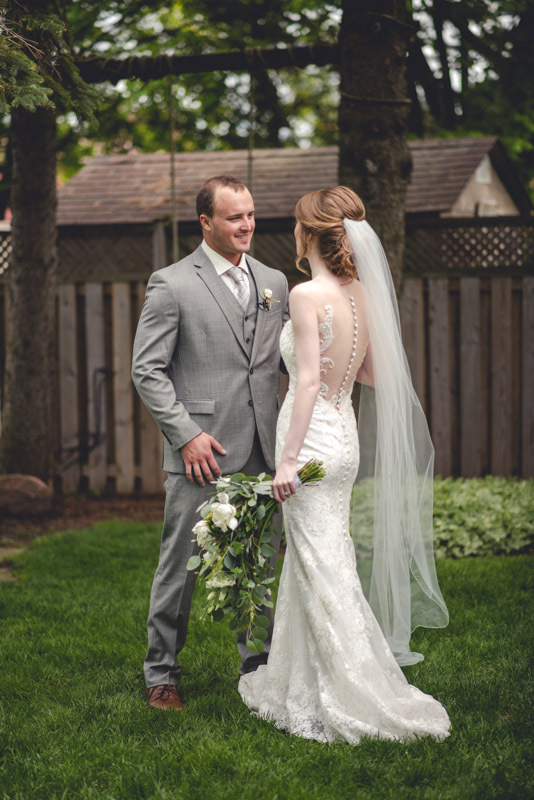 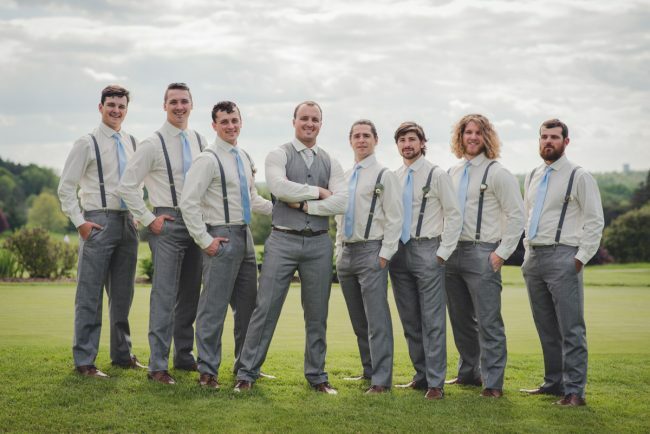 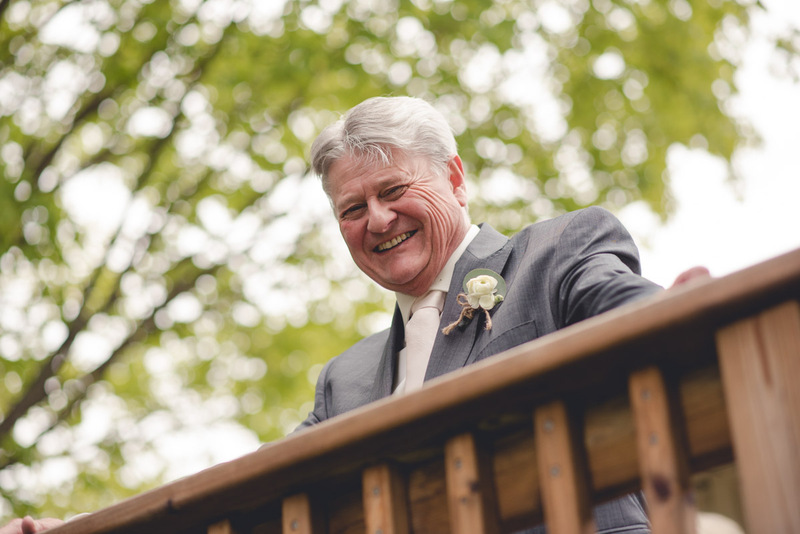 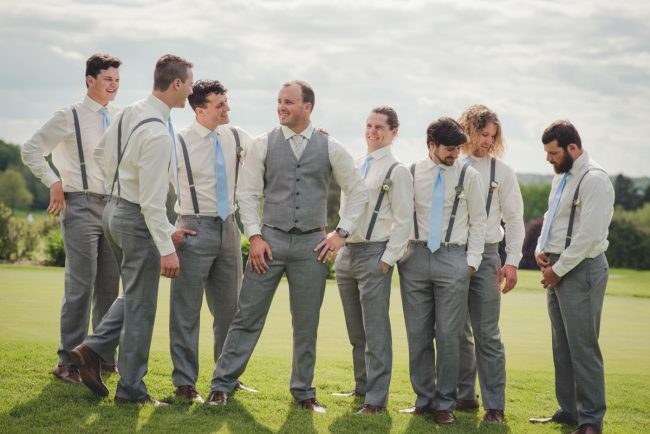 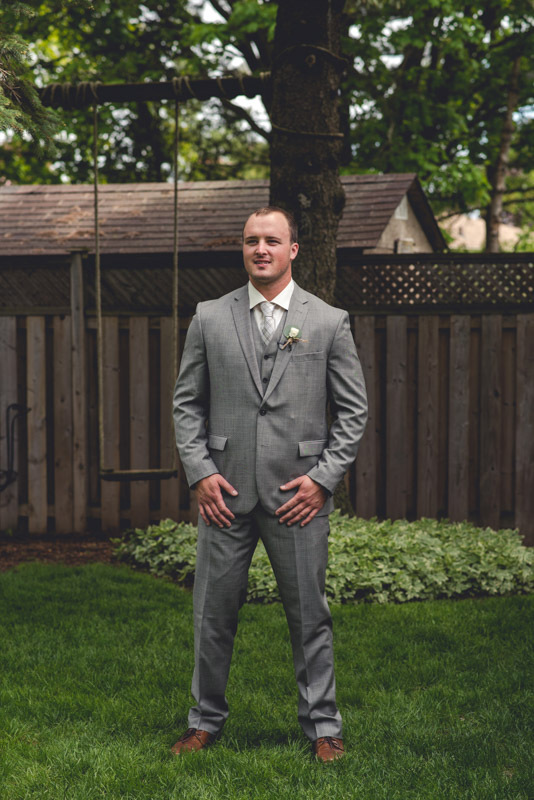 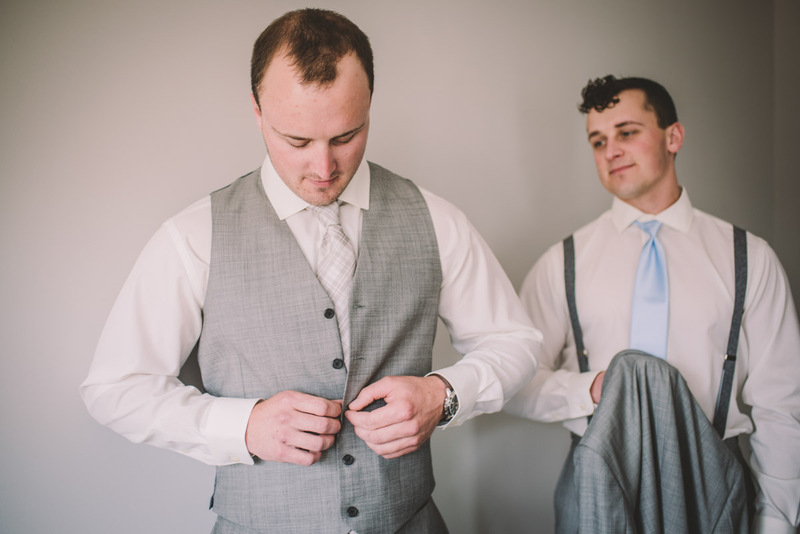 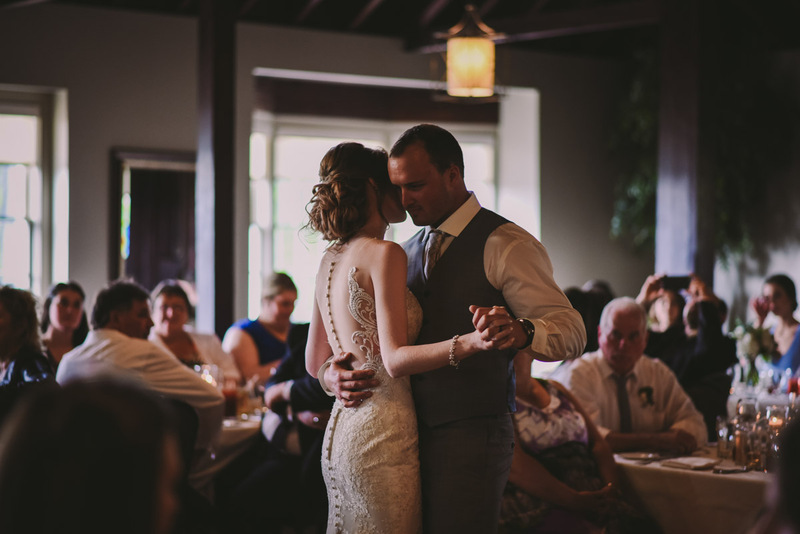 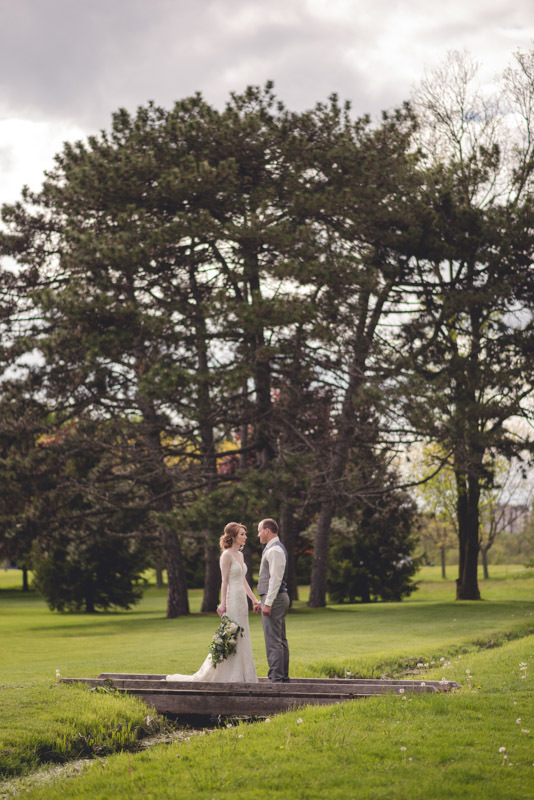 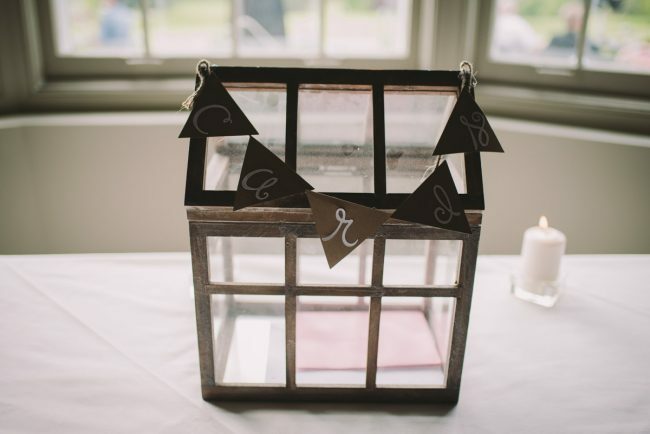 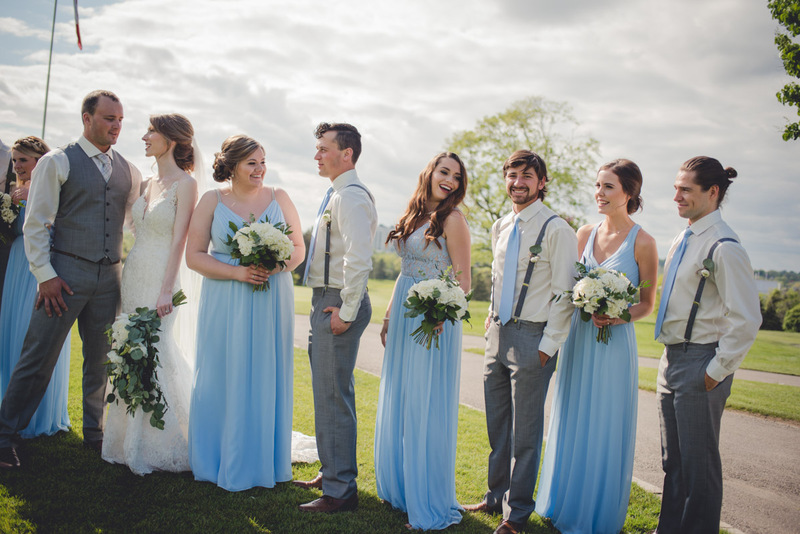 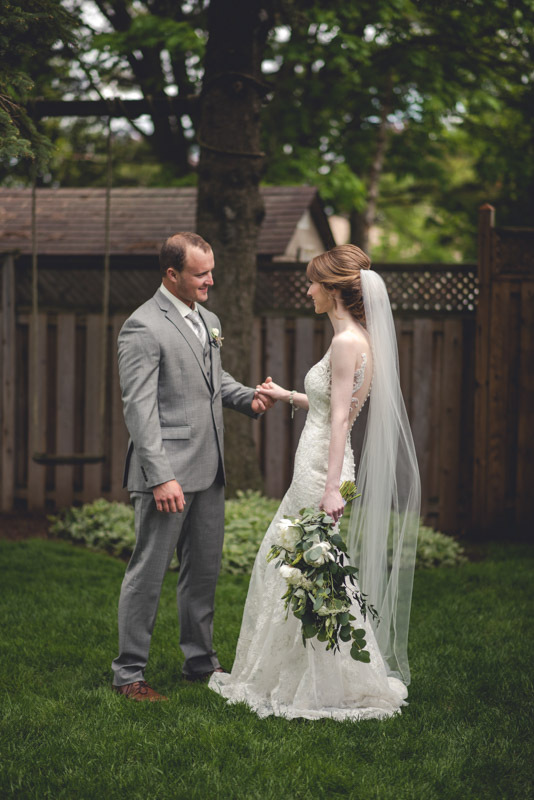 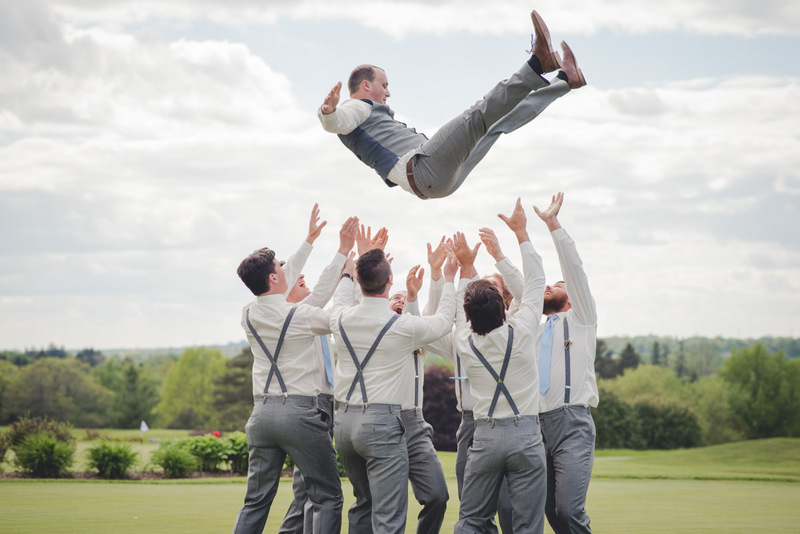 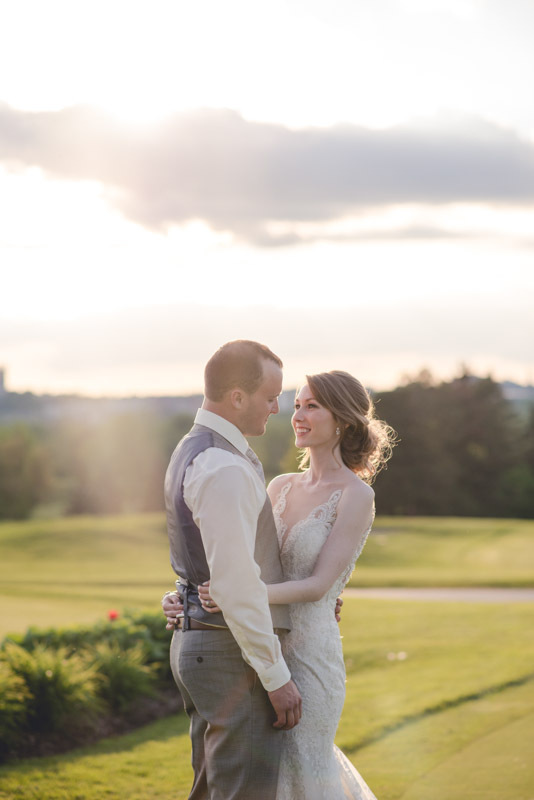 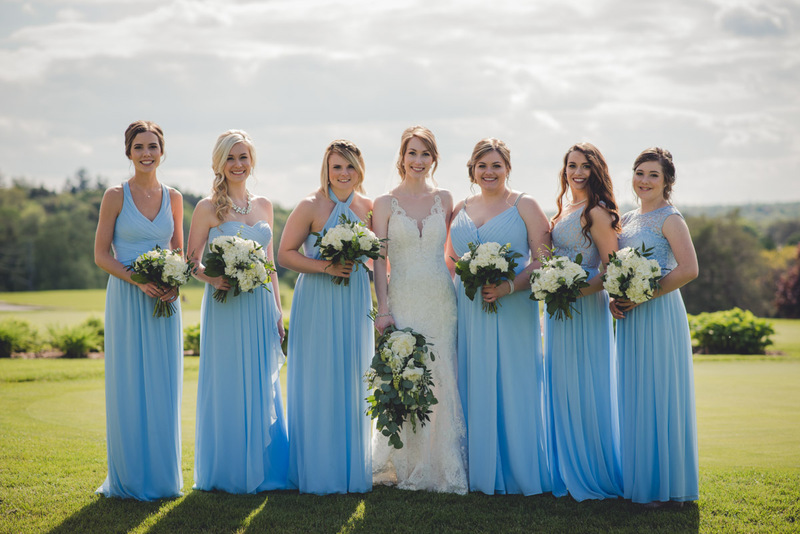 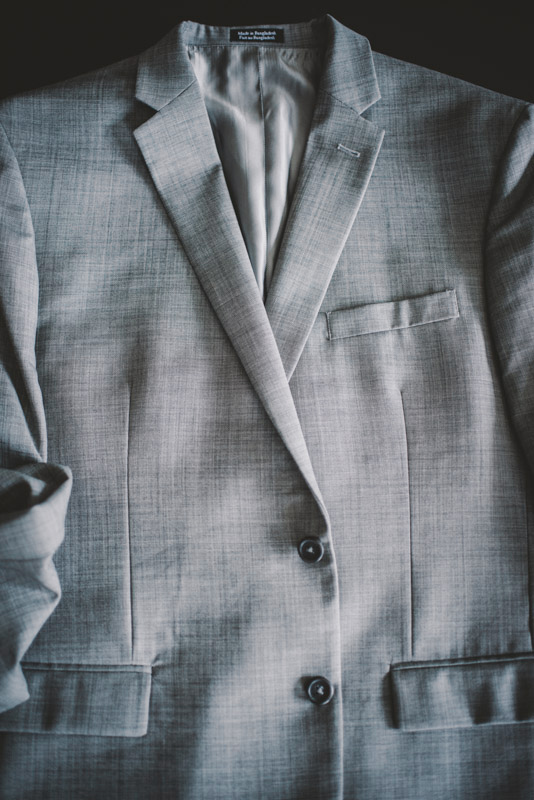 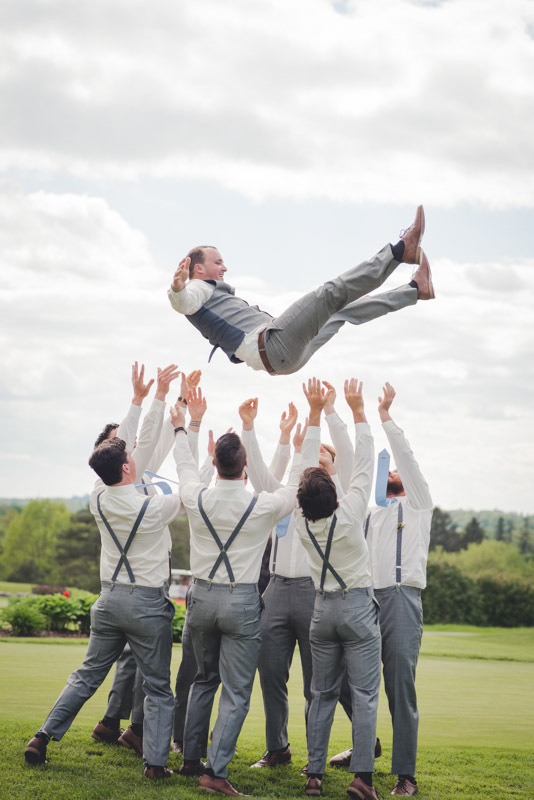 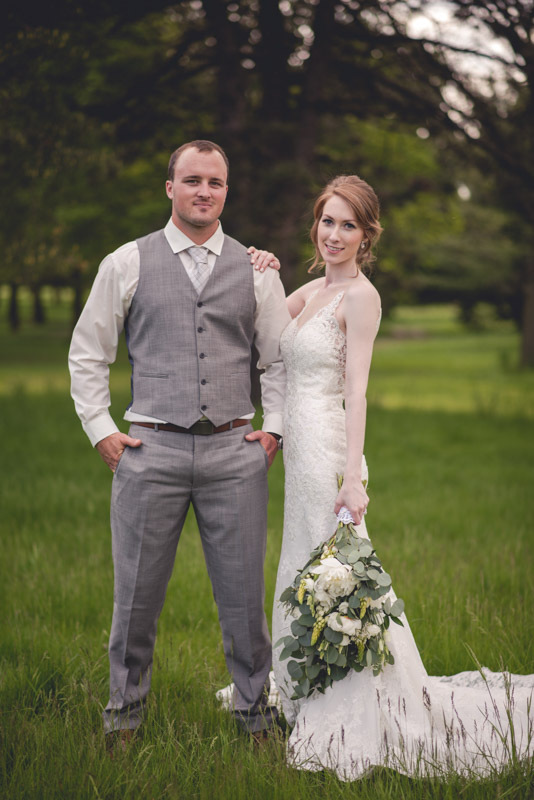 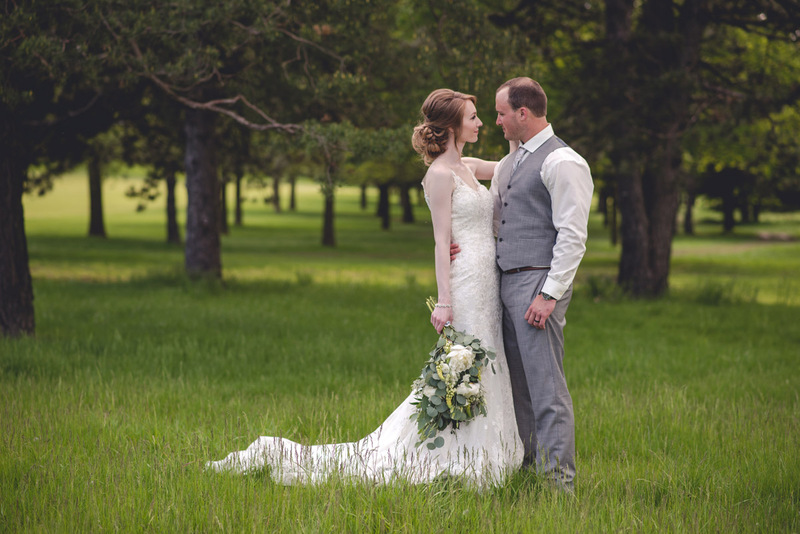 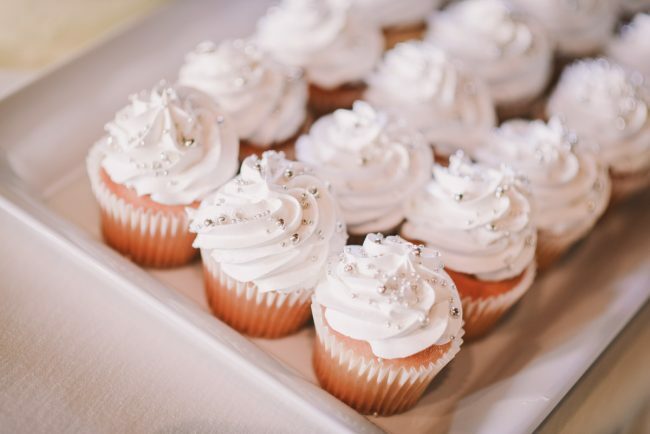 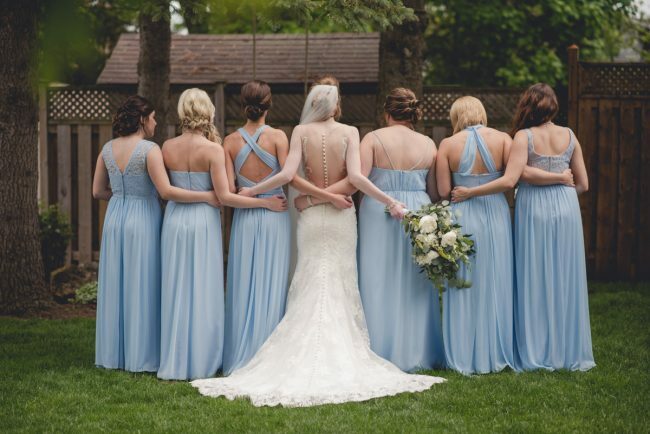 Their marriage ceremony took place at Lakeside Church, with photography and the reception to follow at Cutten Fields Golf Club, also in Guelph. 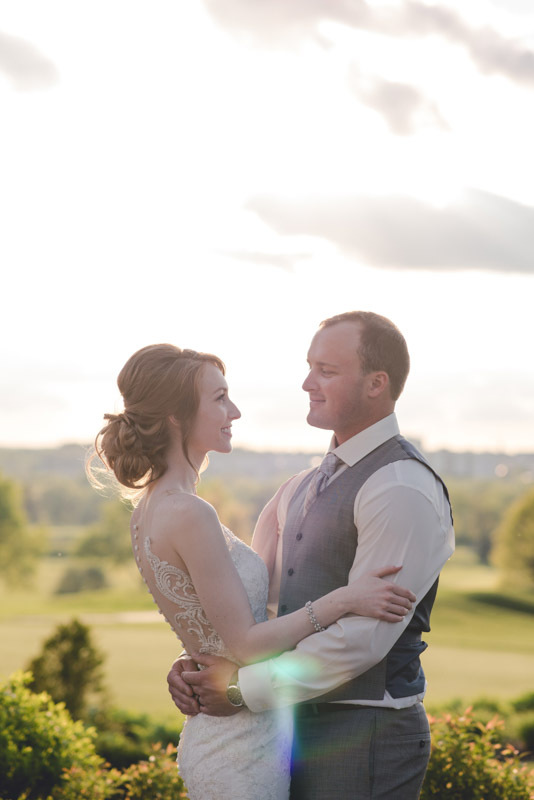 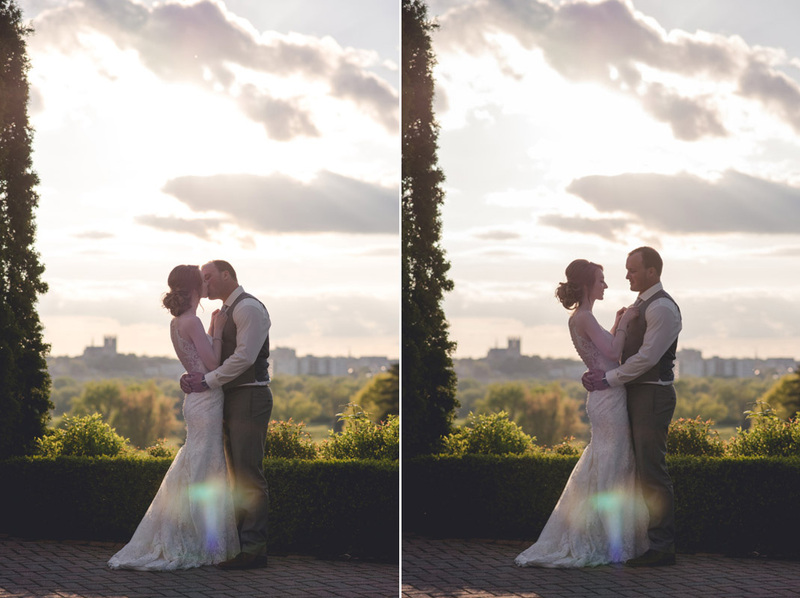 We enjoyed gorgeous weather on their wedding day, and were able to duck out during the reception for some additional sunset photography. 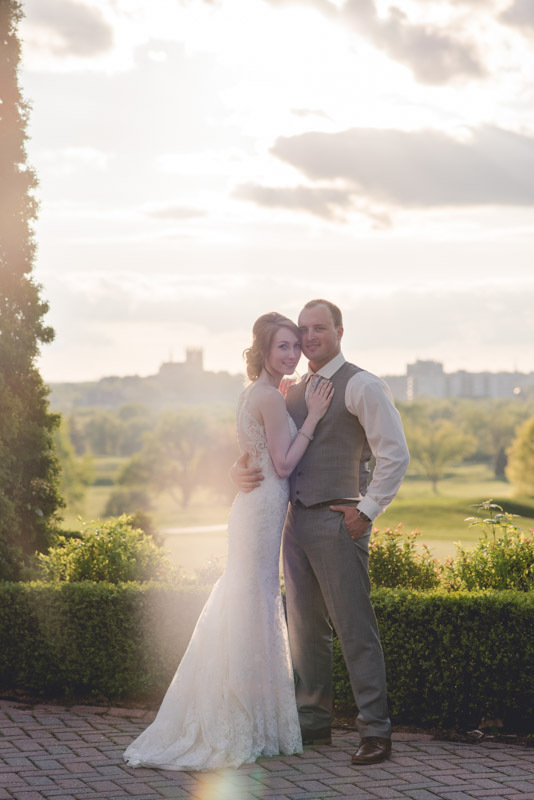 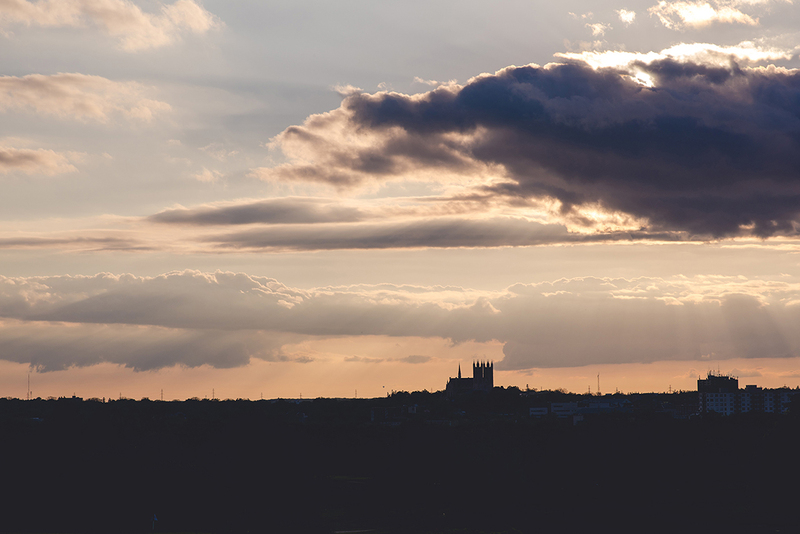 As promised by the Cutten Fields staff, the sunsets from their vantage point overlooking the City of Guelph truly do not disappoint! 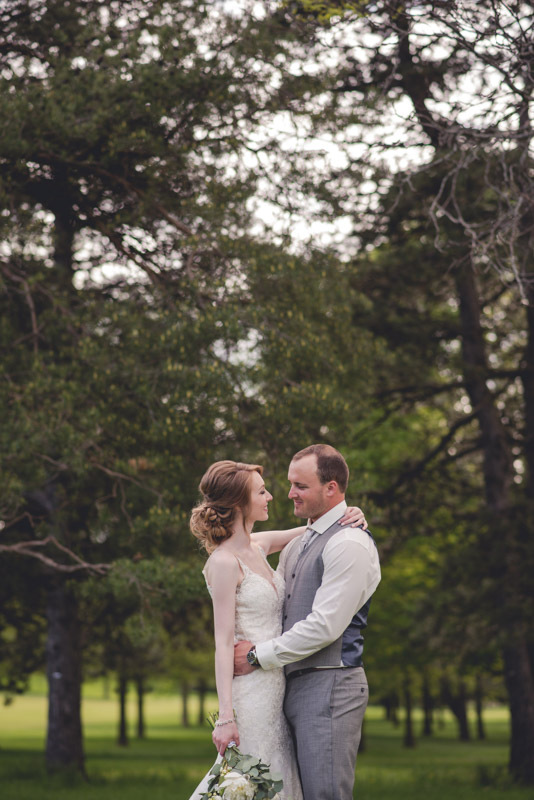 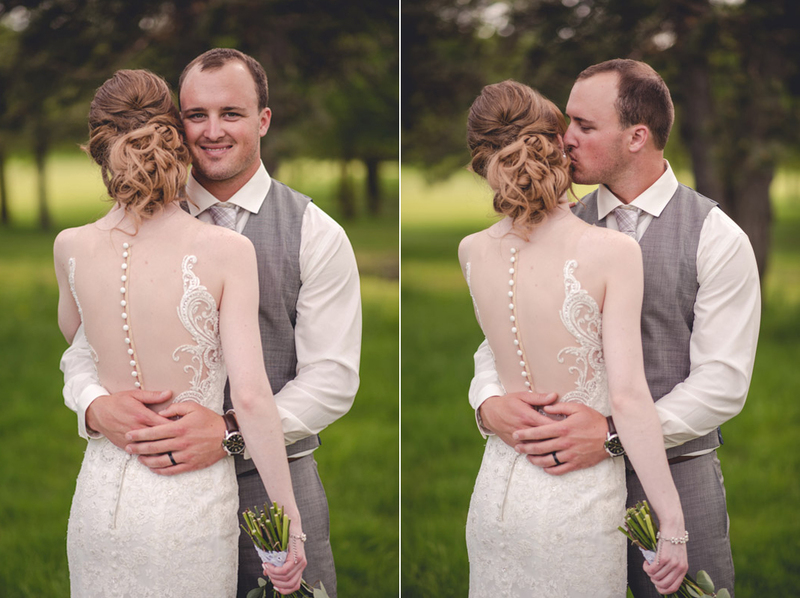 I am so humbled to have been chosen by Mikayla and Justin to photograph their wedding day. 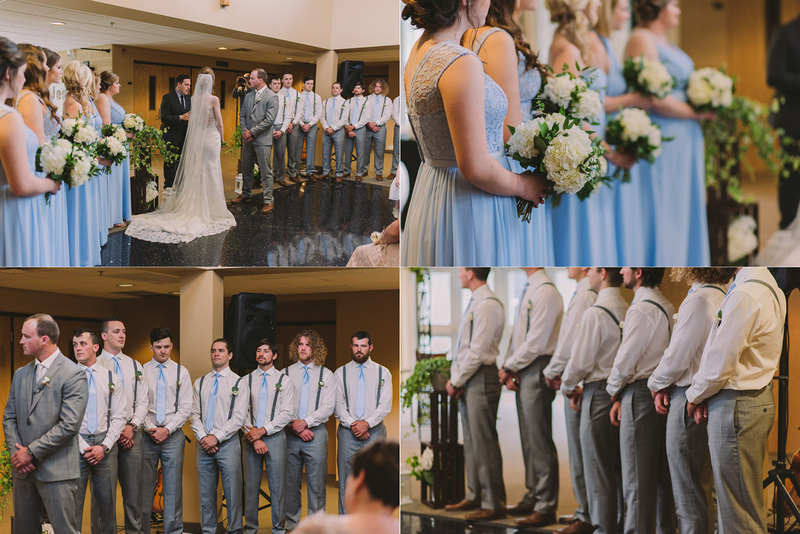 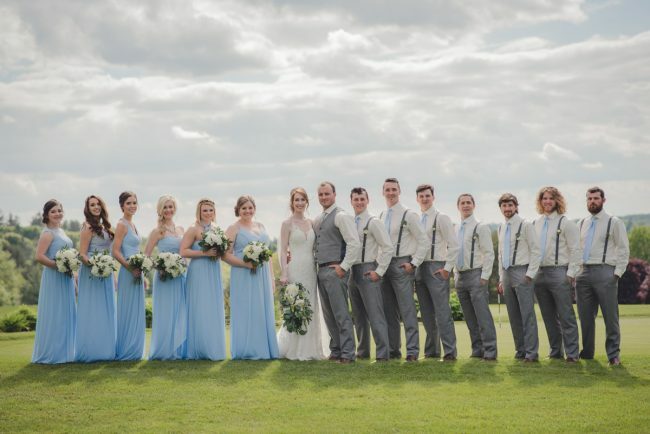 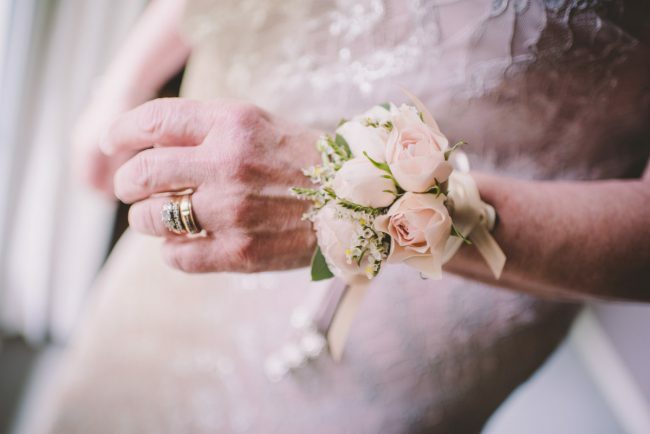 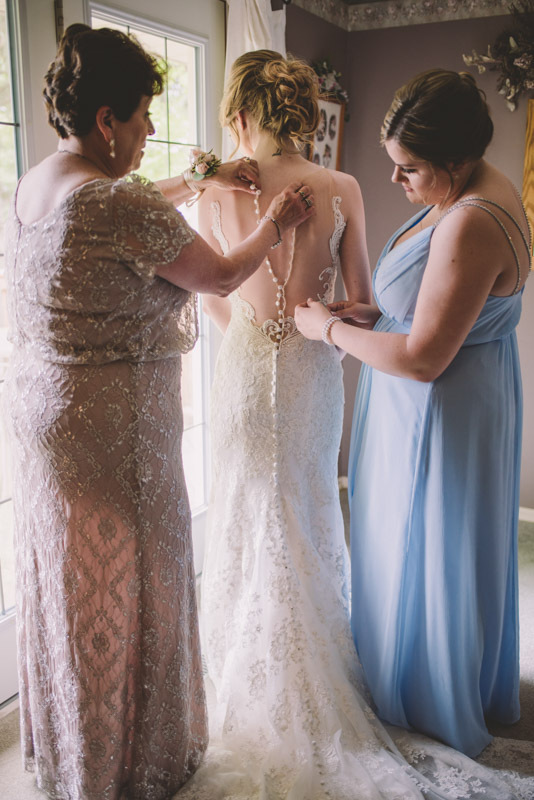 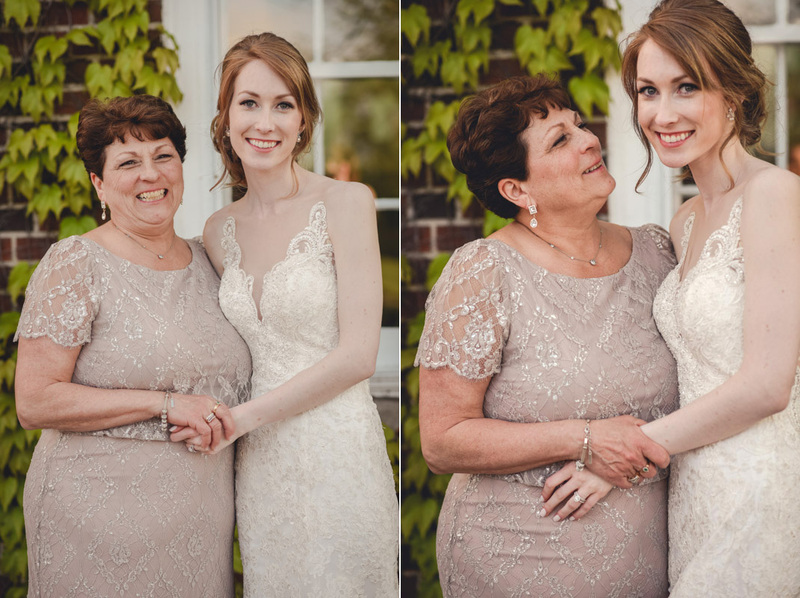 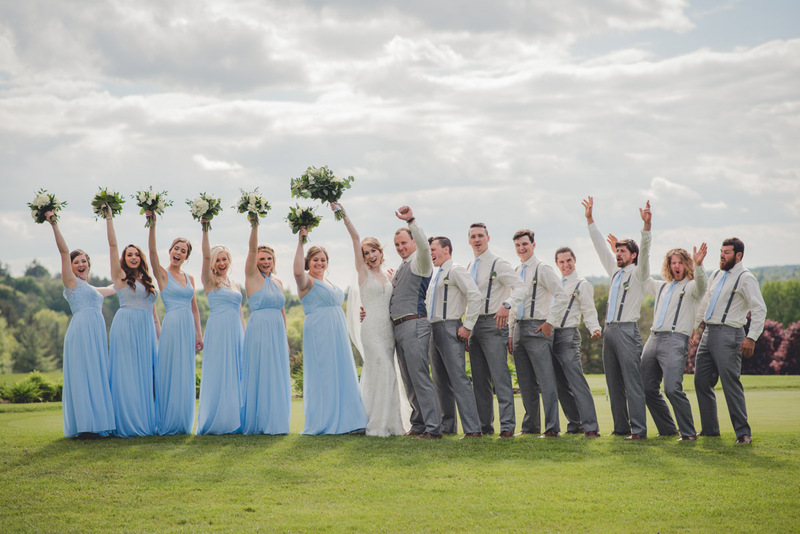 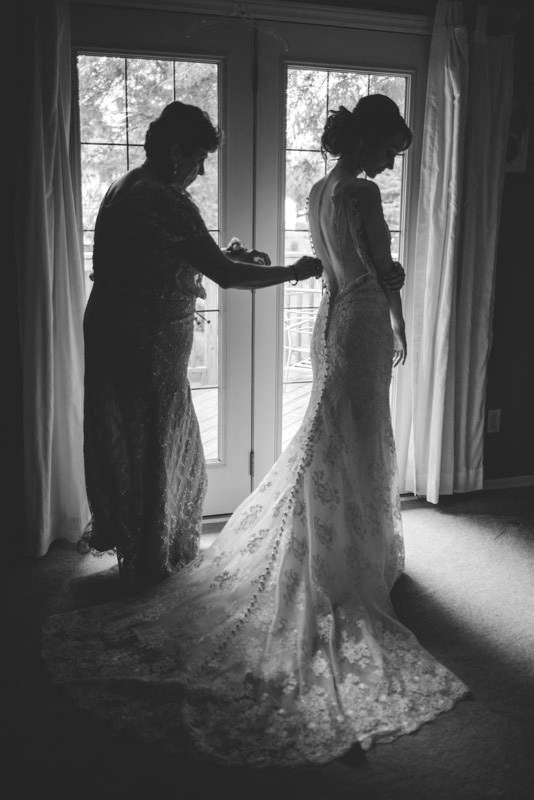 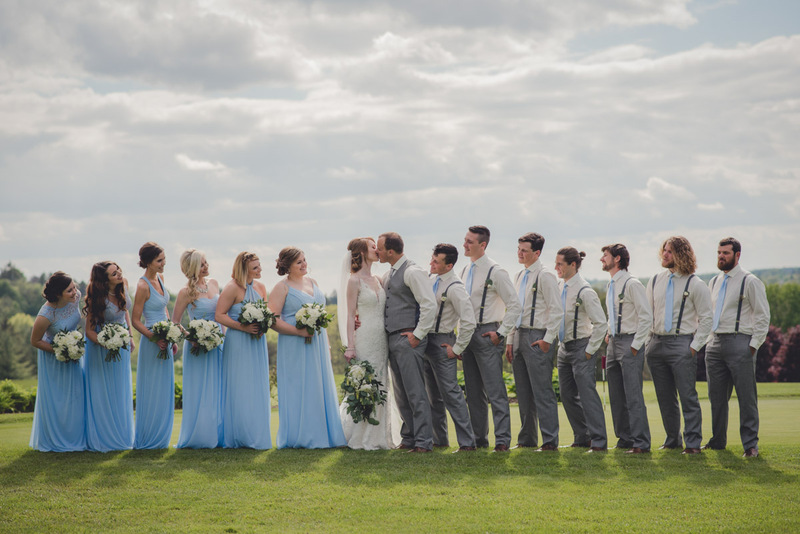 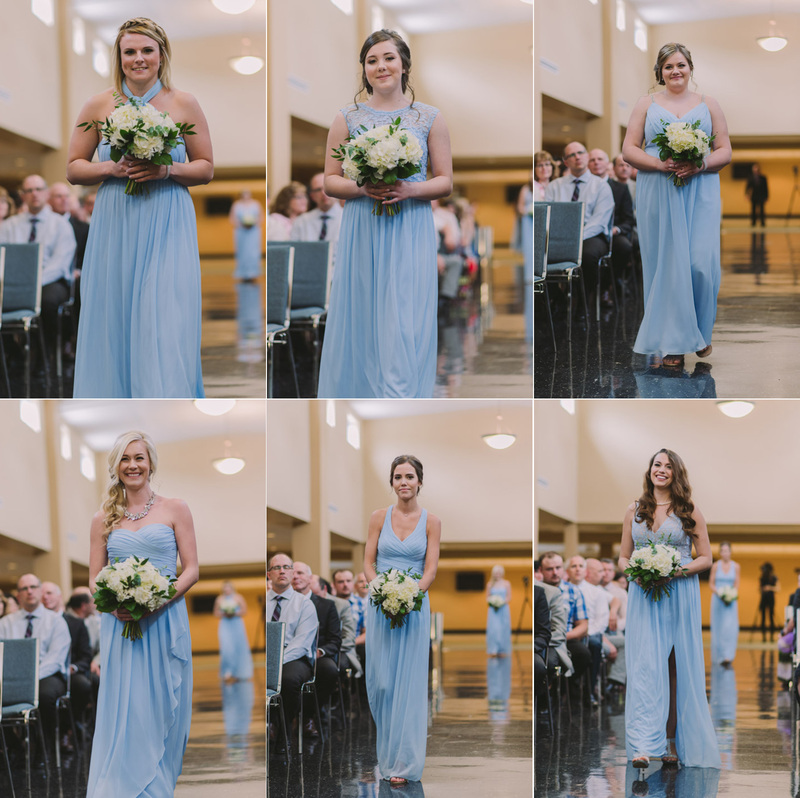 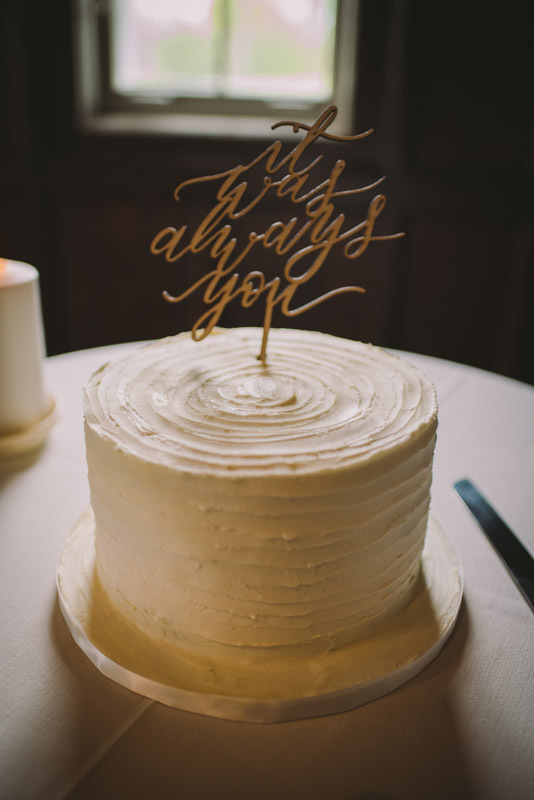 They and their families and friends were lovely to work with, and I am blown away by the beautiful photos that we captured. 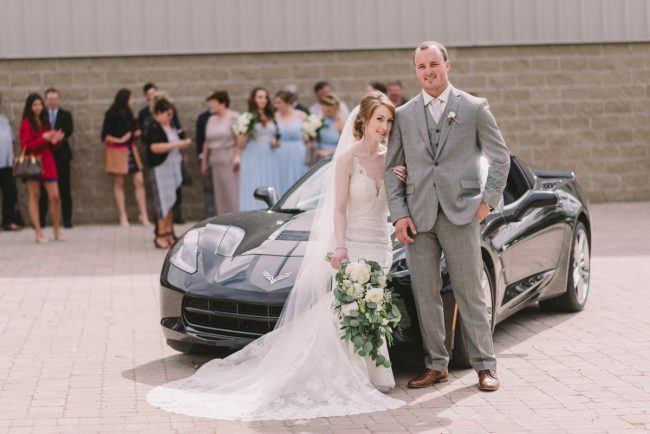 Wishing Mikayla and Justin a lifetime of love and happiness!